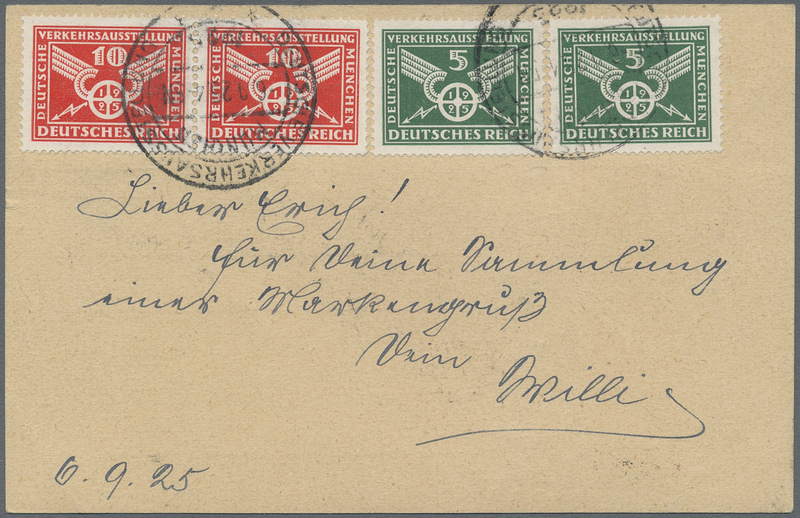 23923 Ganzsache (Complete) 1934. 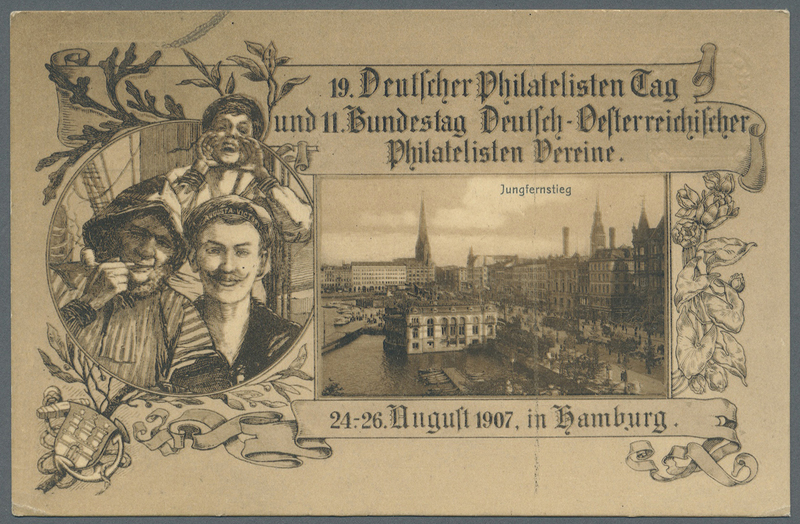 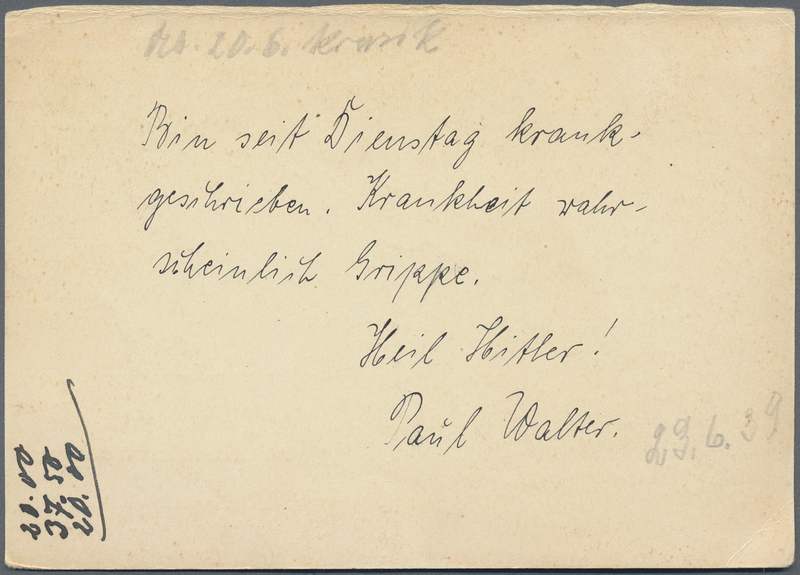 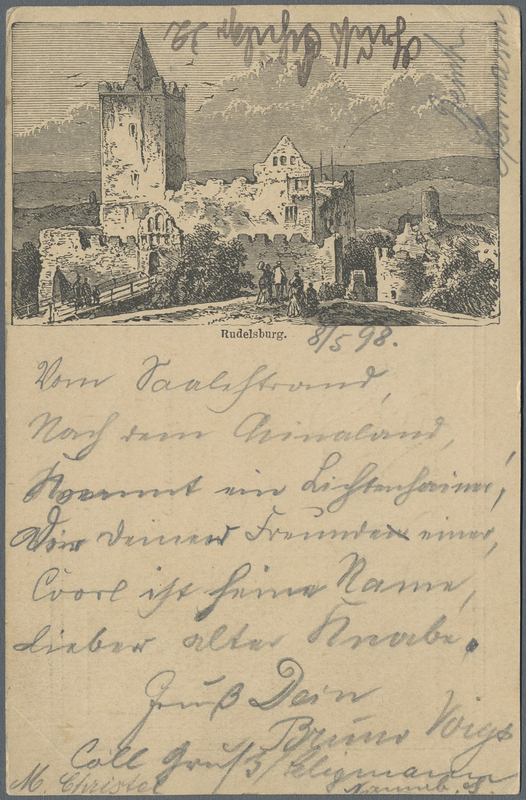 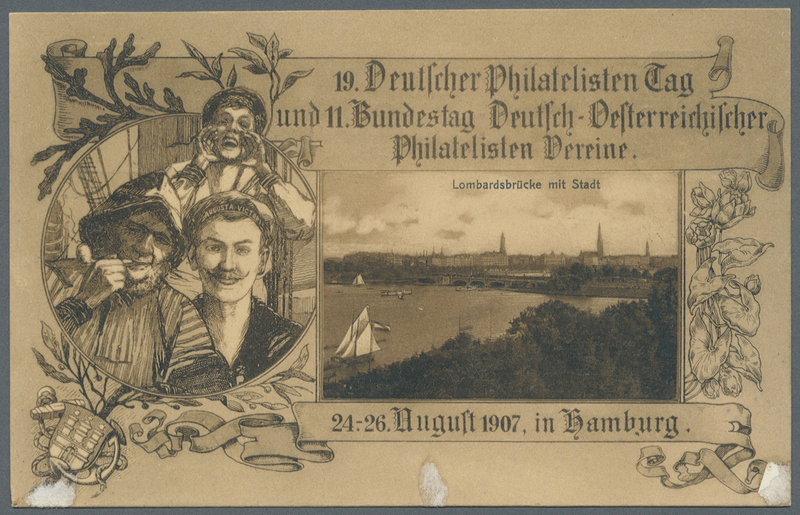 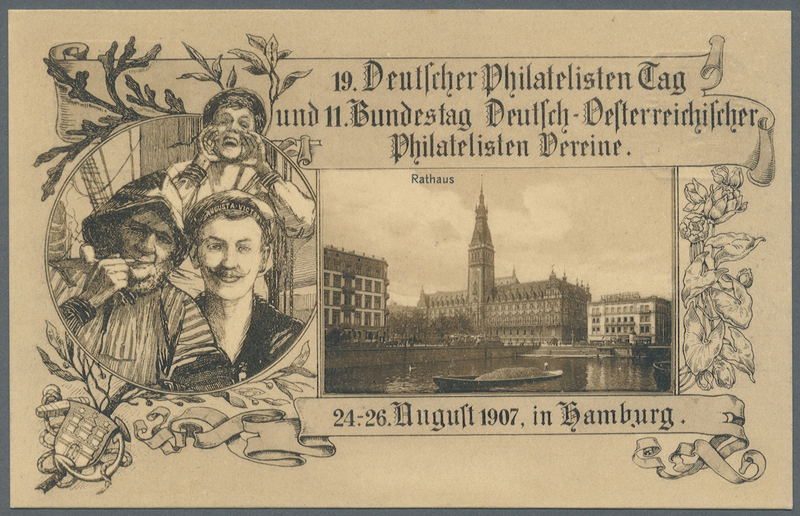 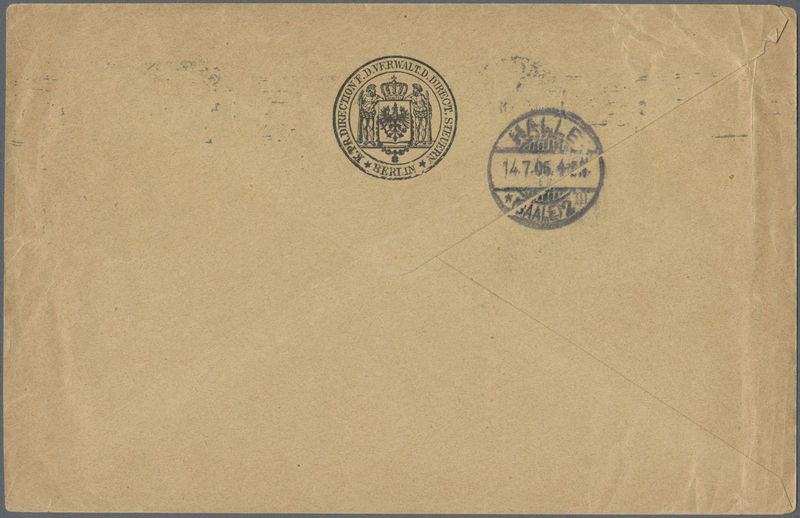 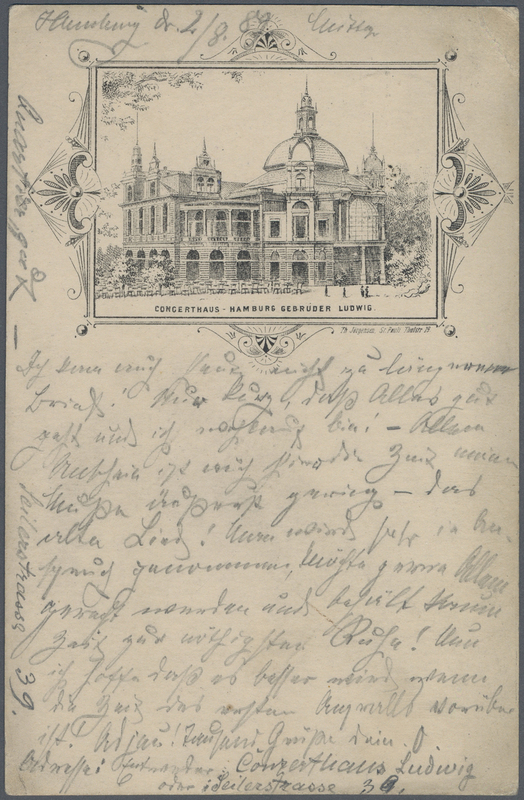 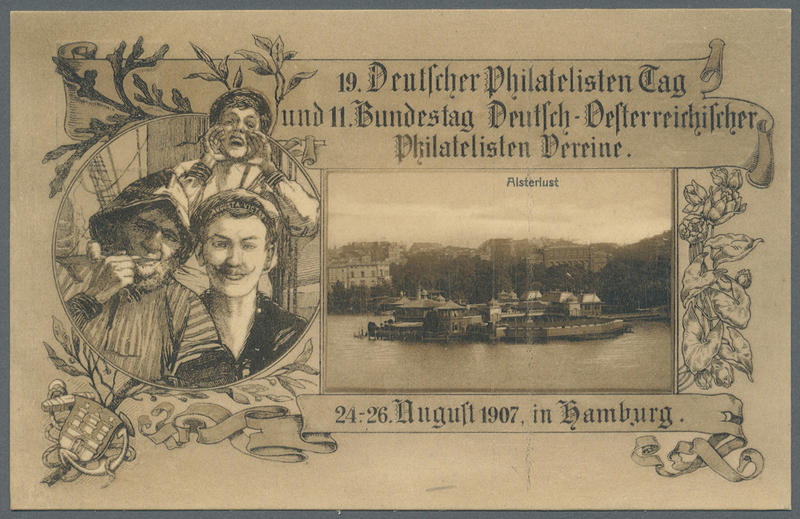 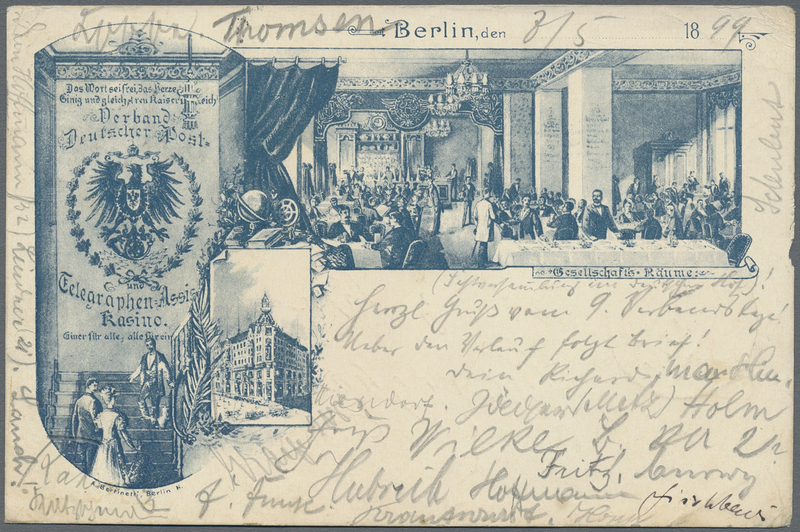 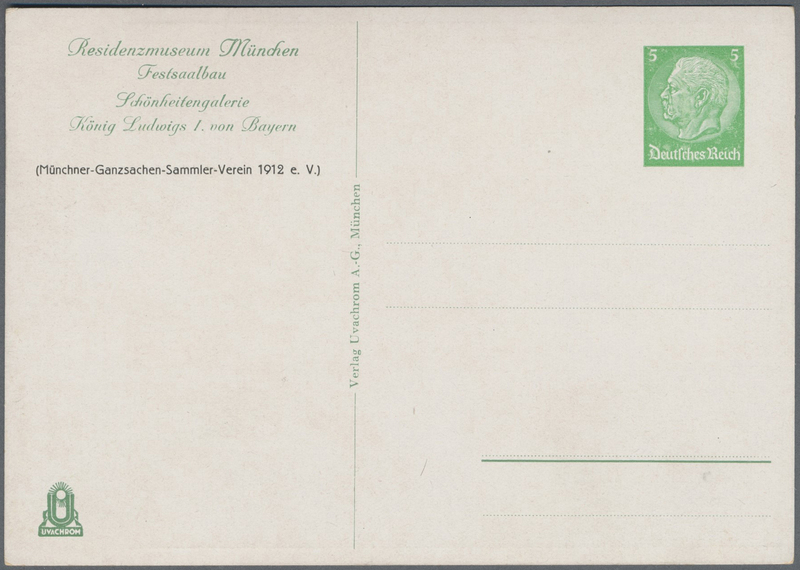 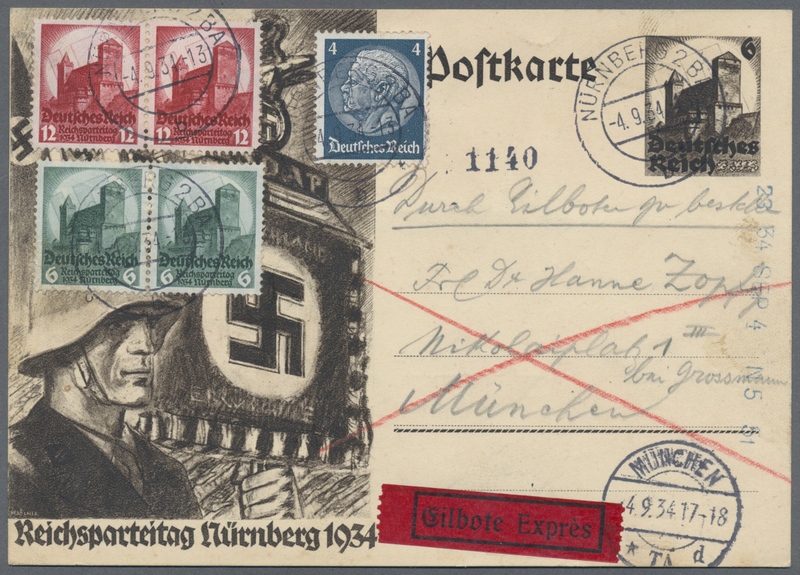 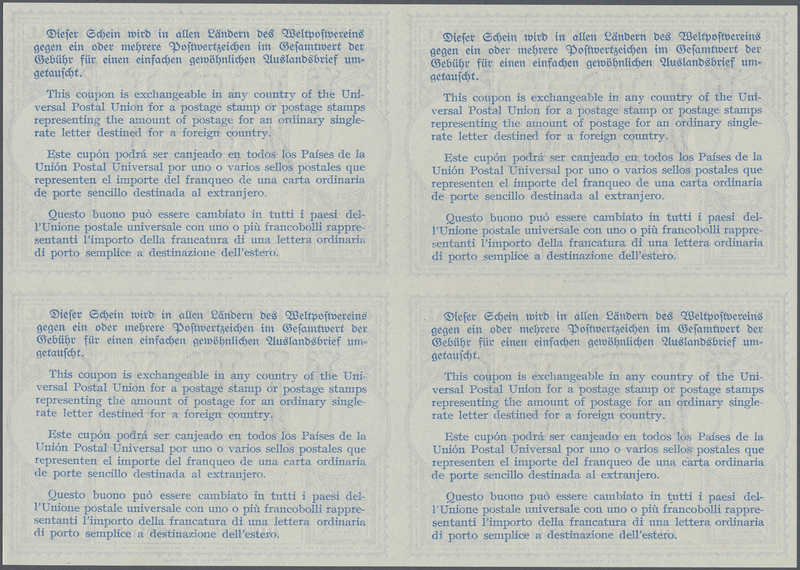 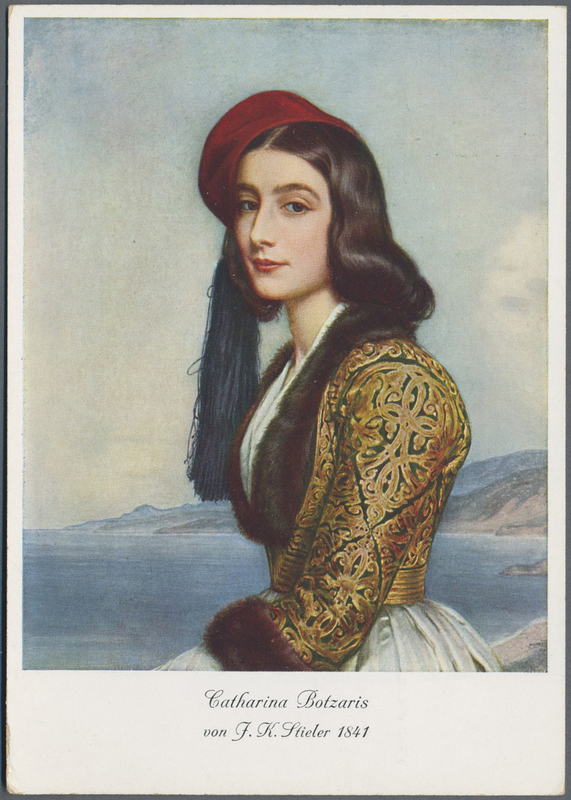 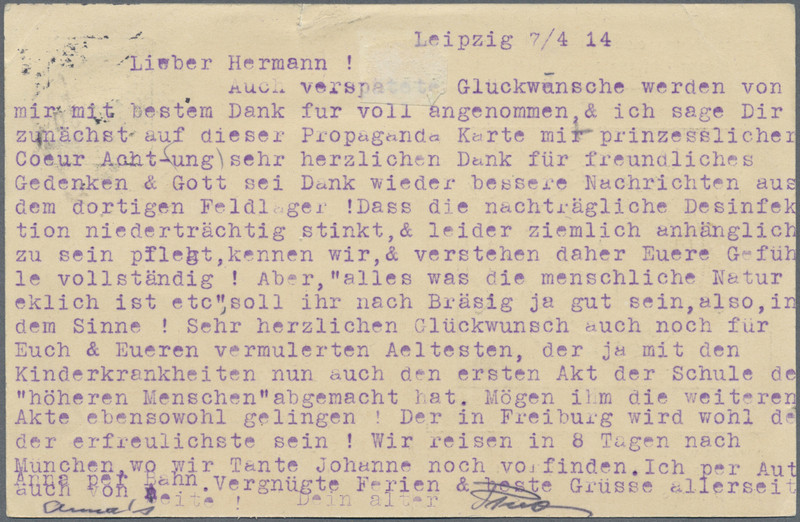 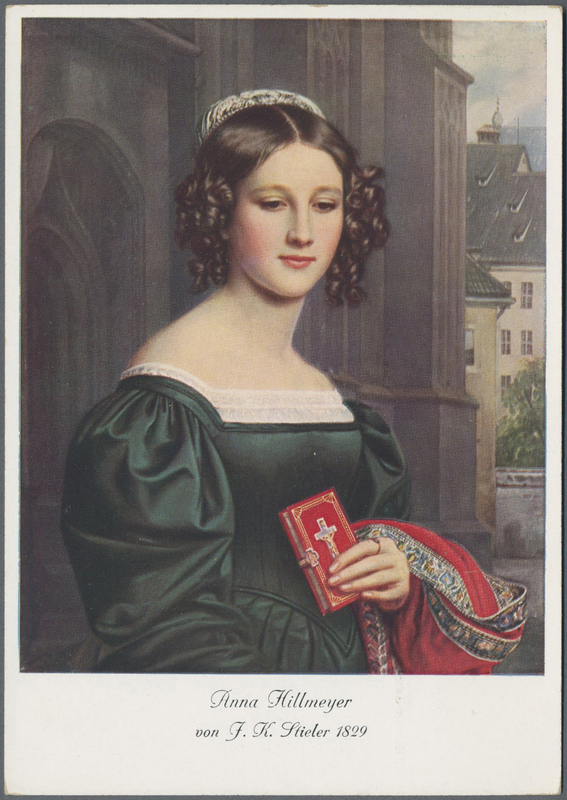 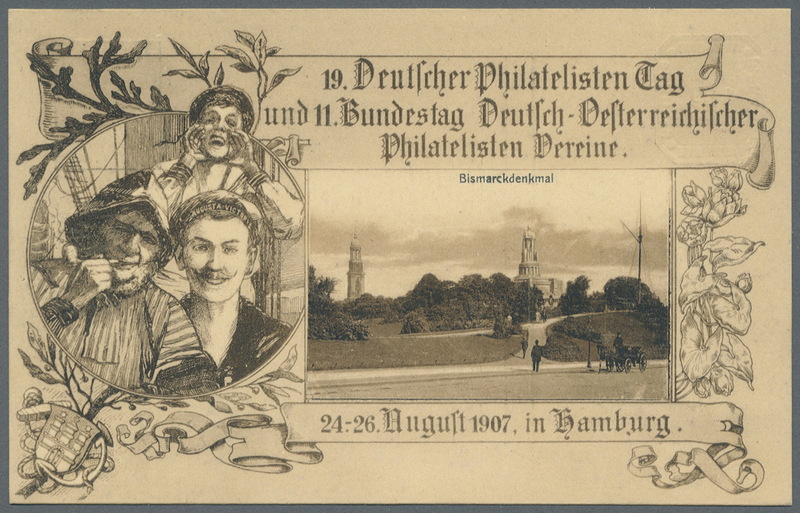 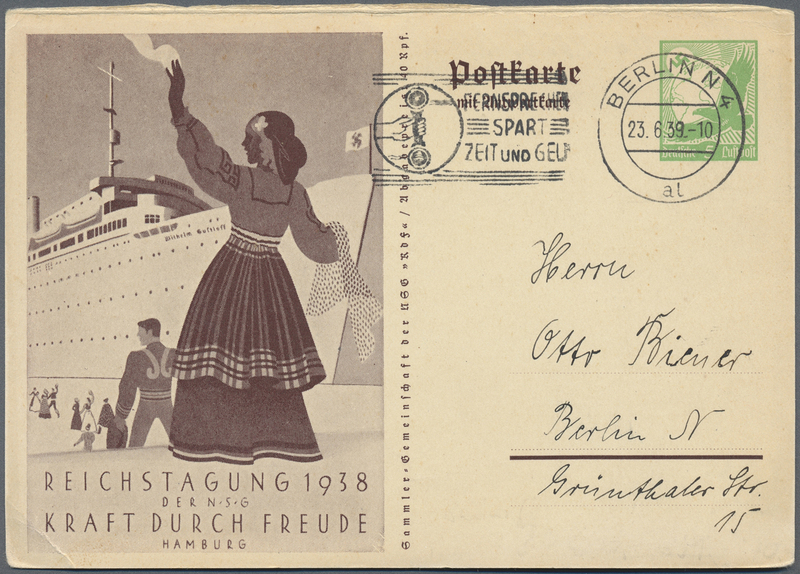 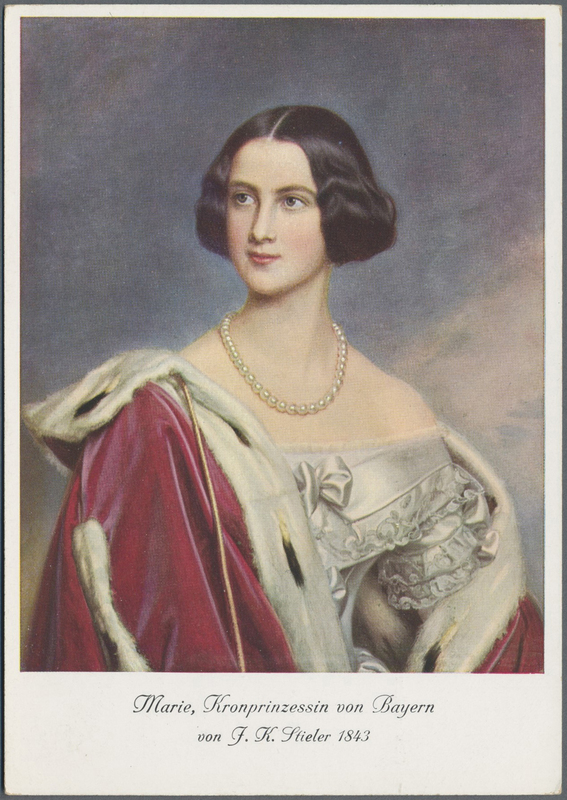 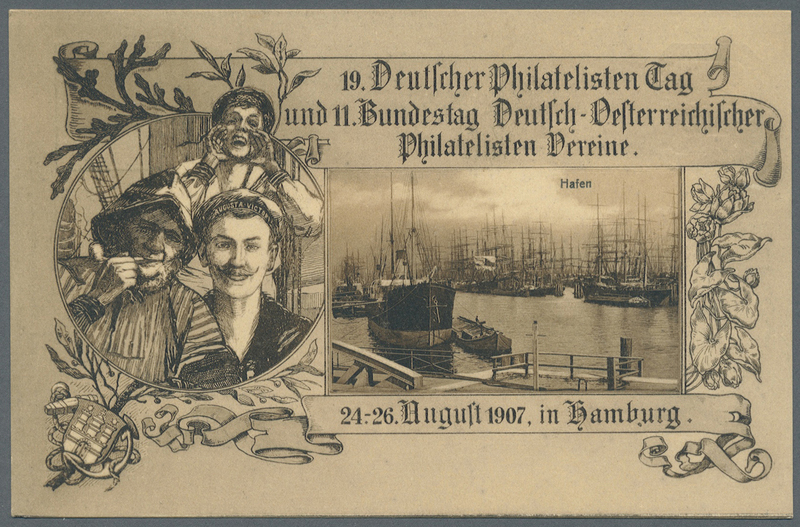 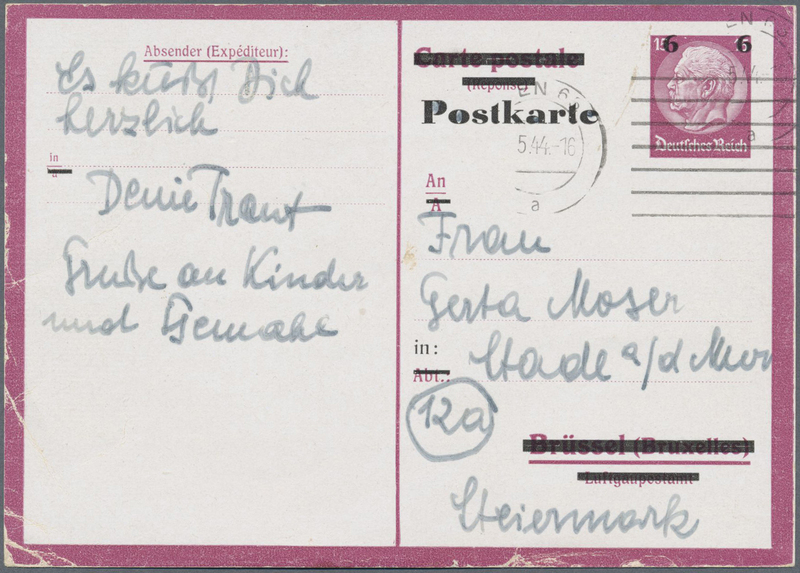 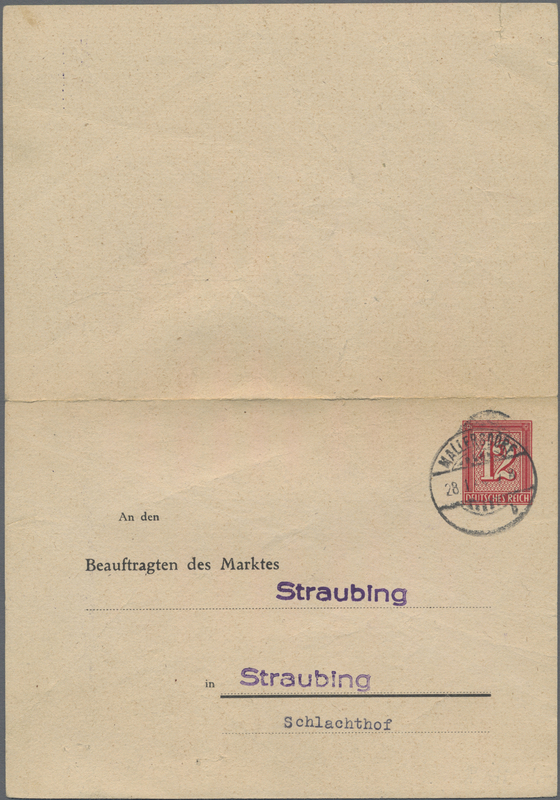 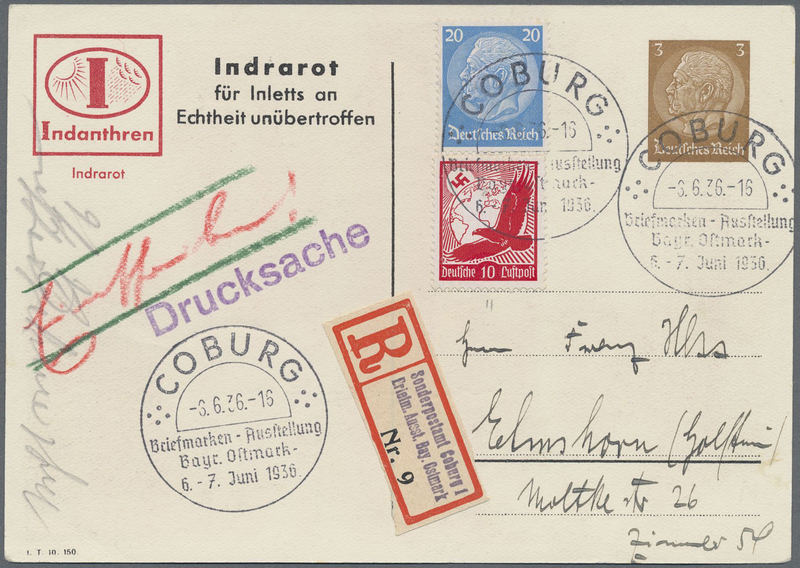 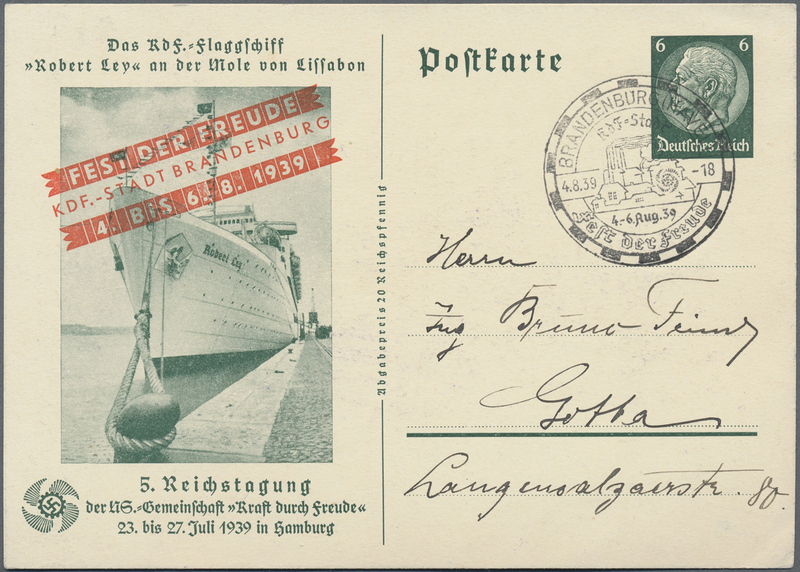 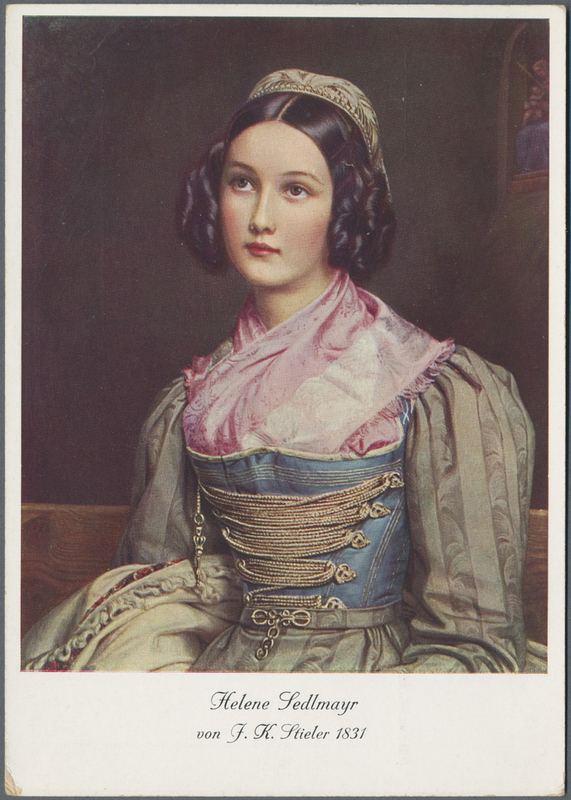 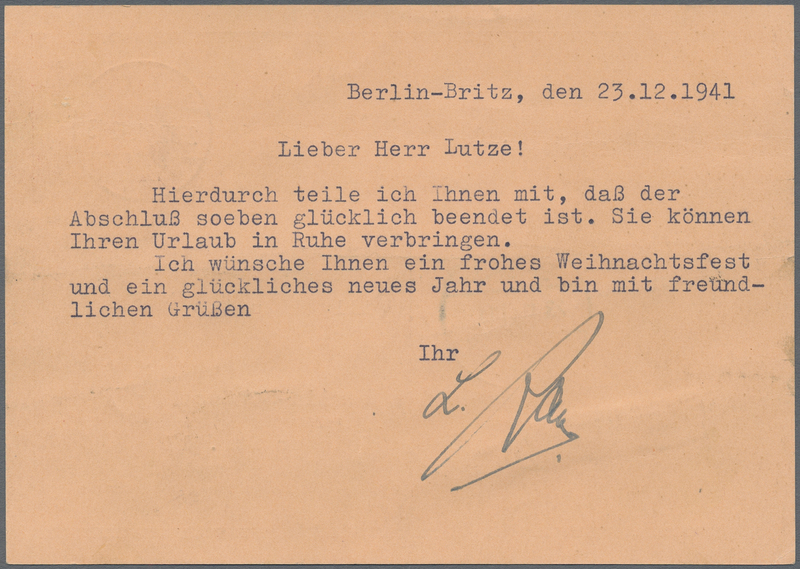 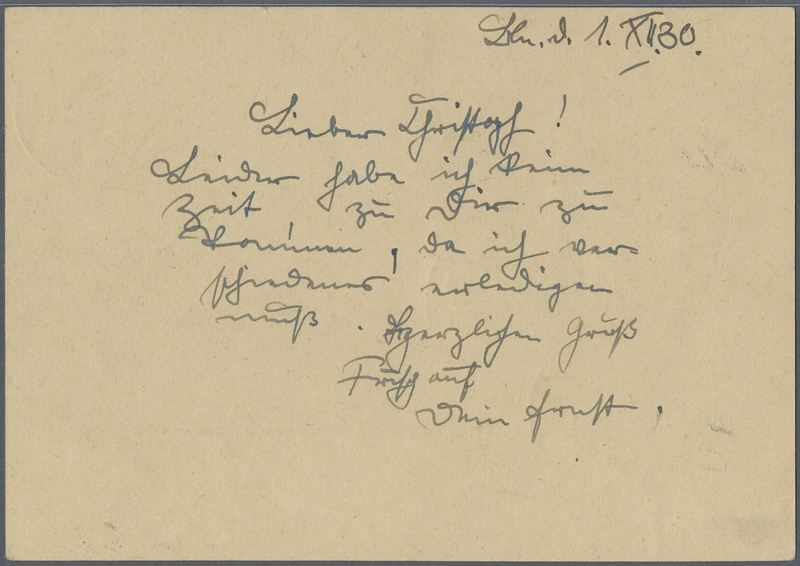 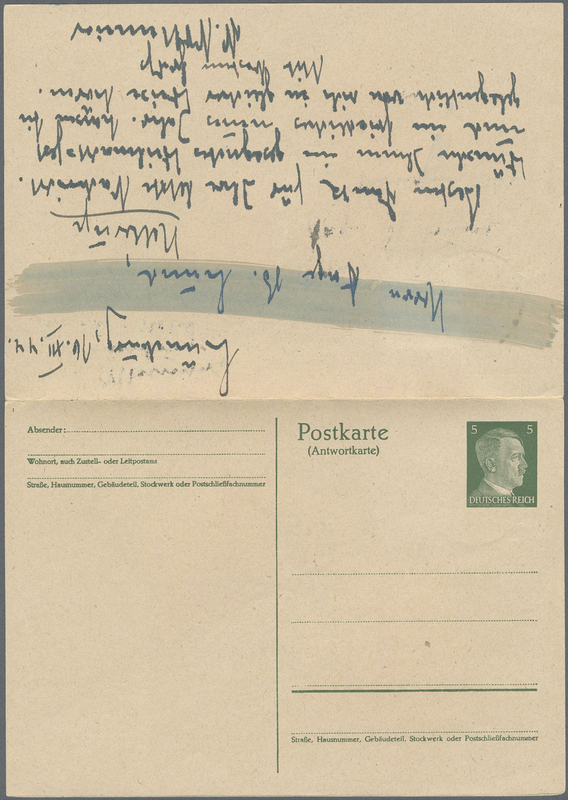 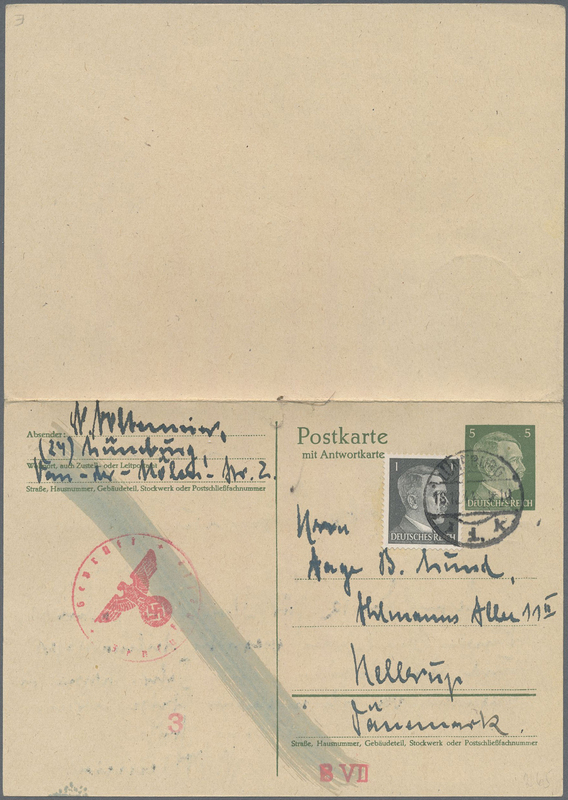 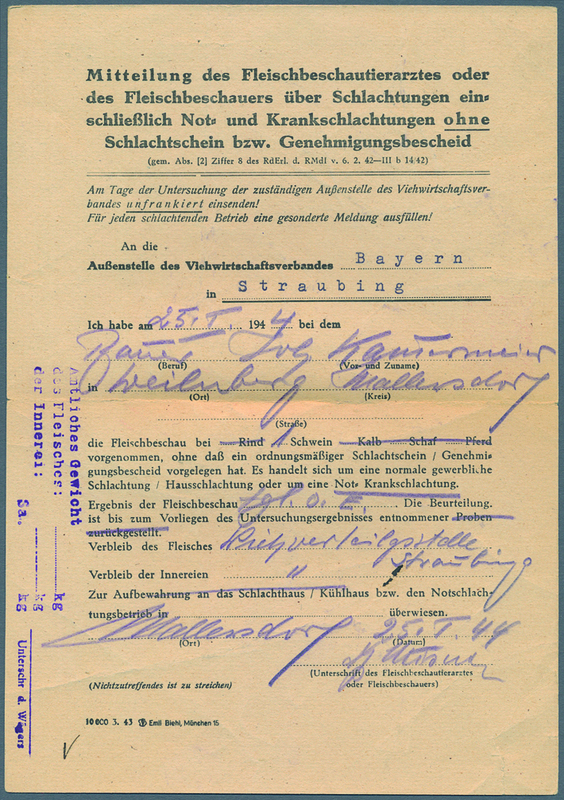 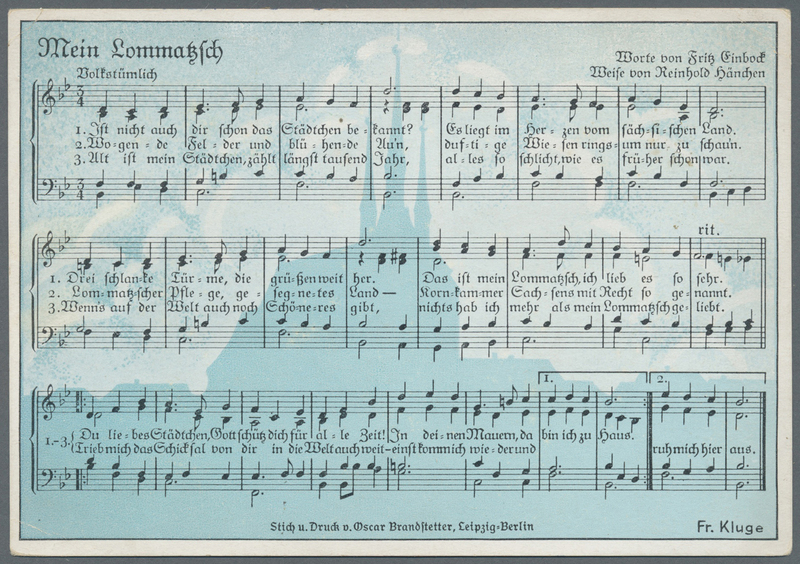 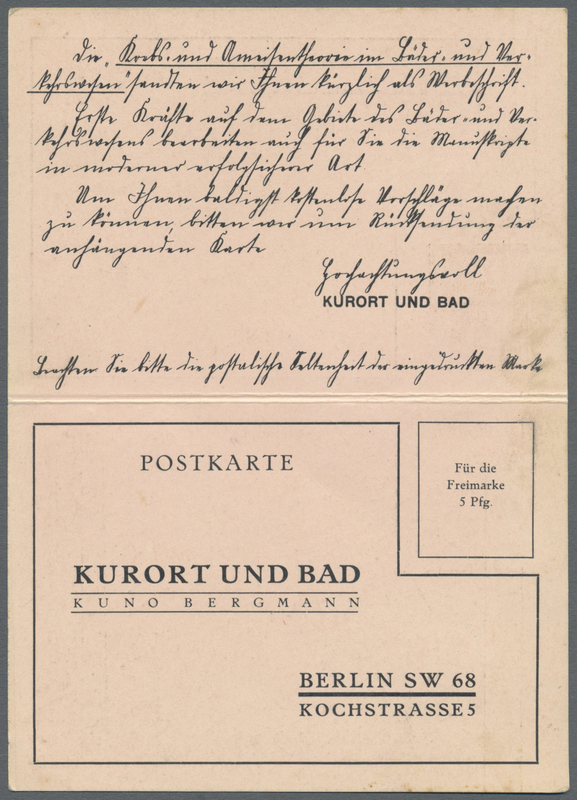 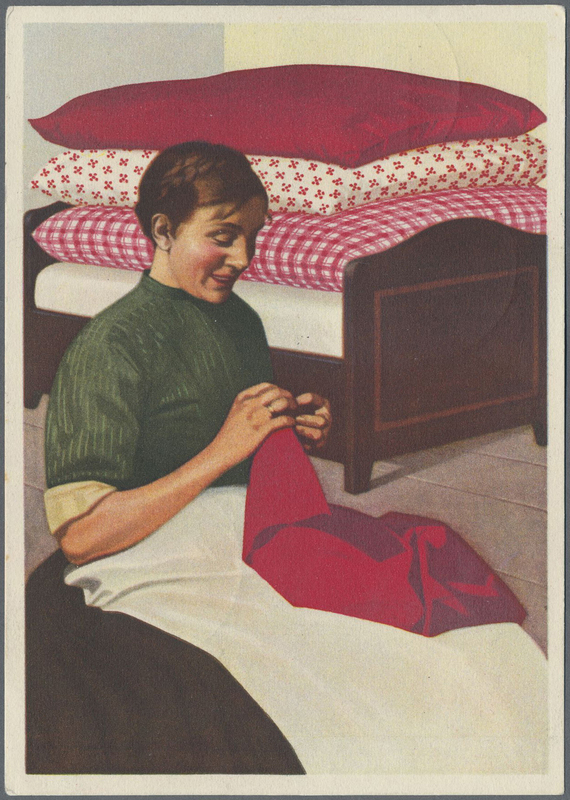 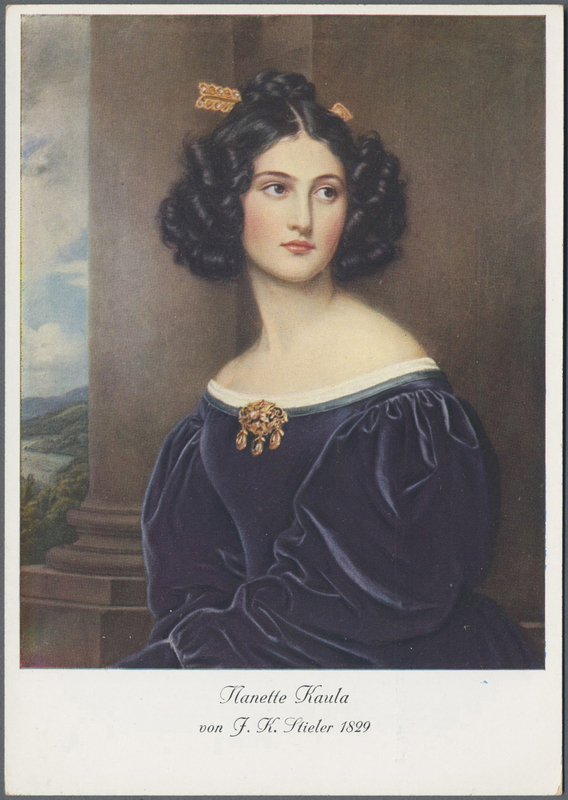 One of the best usages of this card I've seen: a Reichsparteitag Nürnberg 1934 Ganzsachen / postal stationery entire upfranked with Nuernberg Rally Day stamps; the sender arrived in Nuremberg just in time to catch the festivities -- this is postmarked the day before the Rally opening ceremonies began. 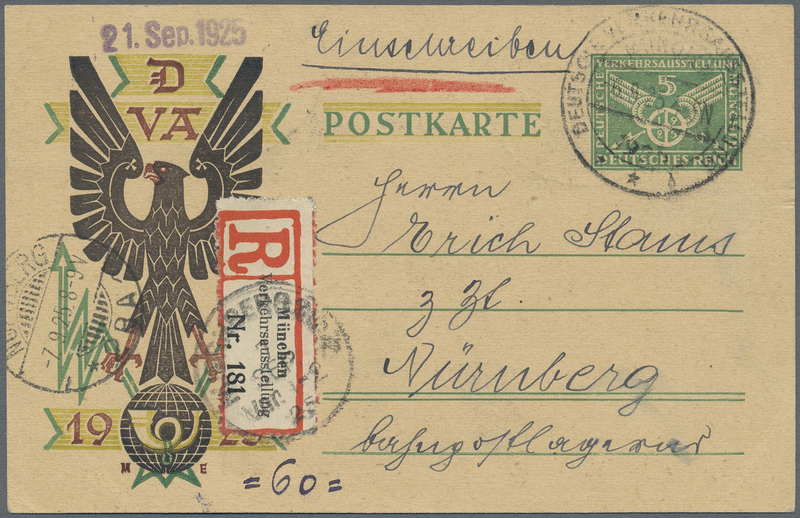 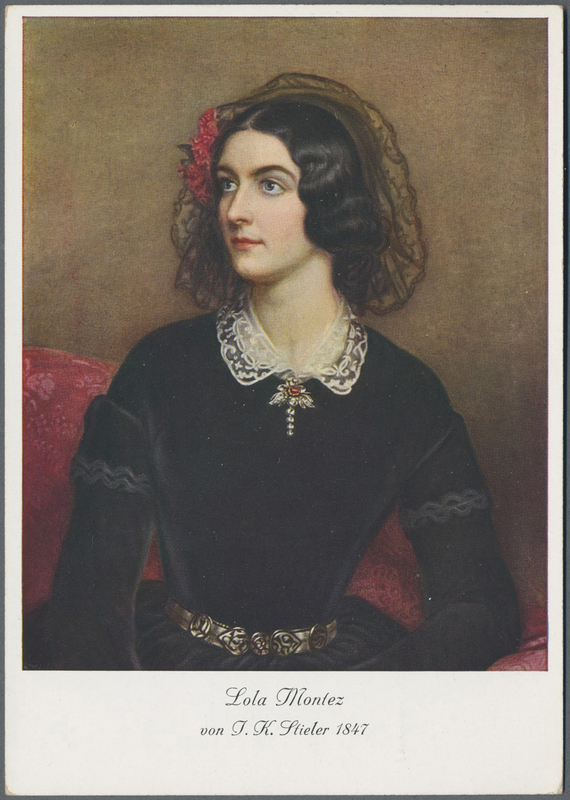 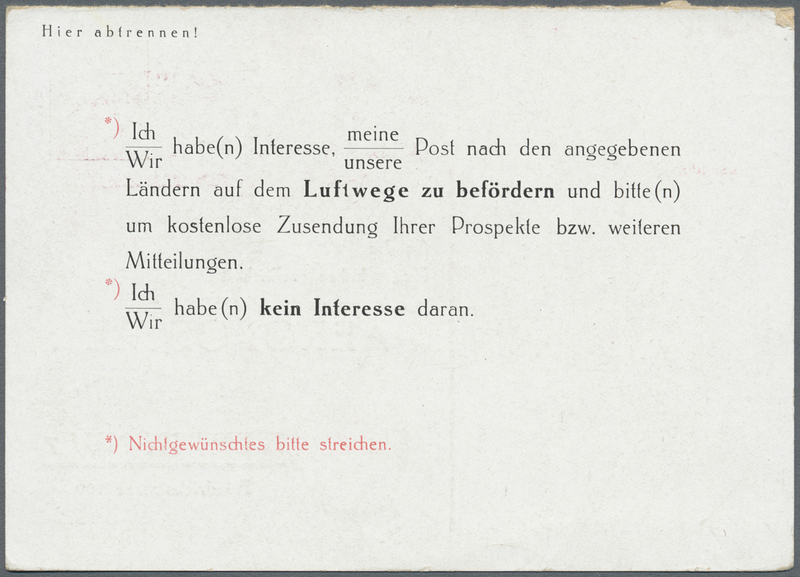 Sent express to Munich (an hour away by train), then delivered via Rohrpost / Pneumatic mail, with Muenchen TA (Telegraphenamt) CDS and Rohrpost line cancel in blue at right front. 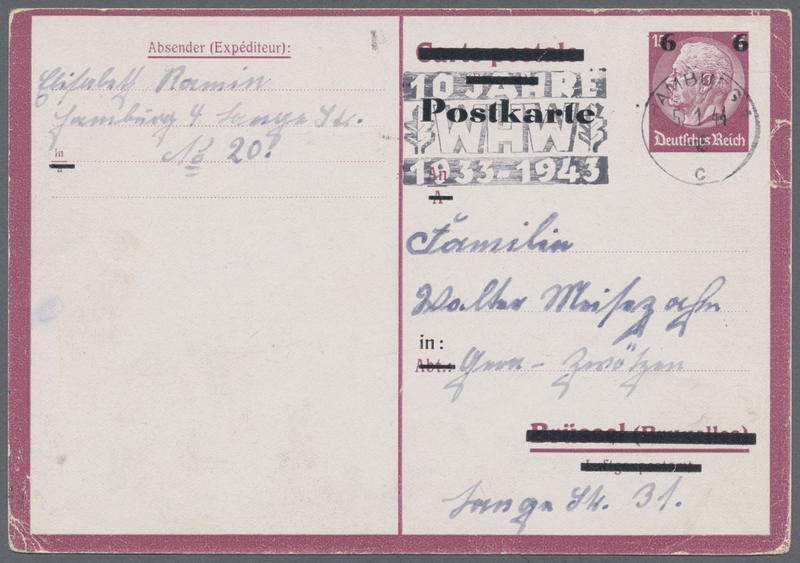 Sent and delivered on Sept 4. 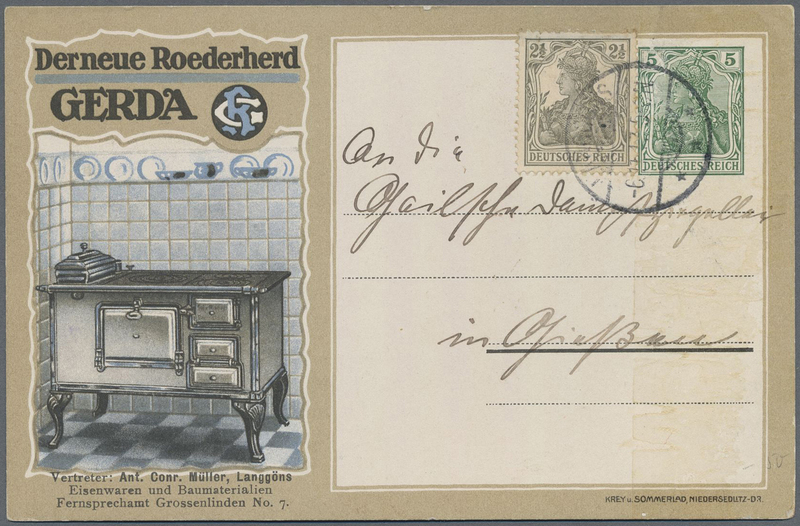 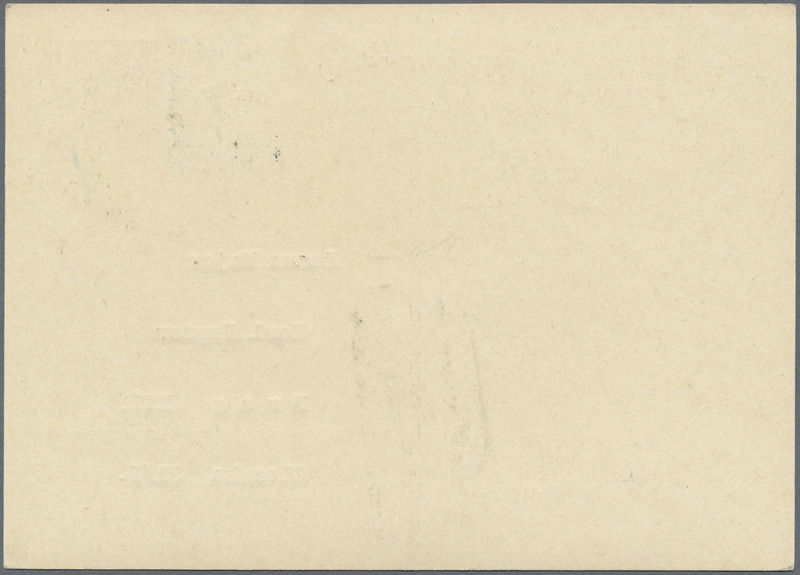 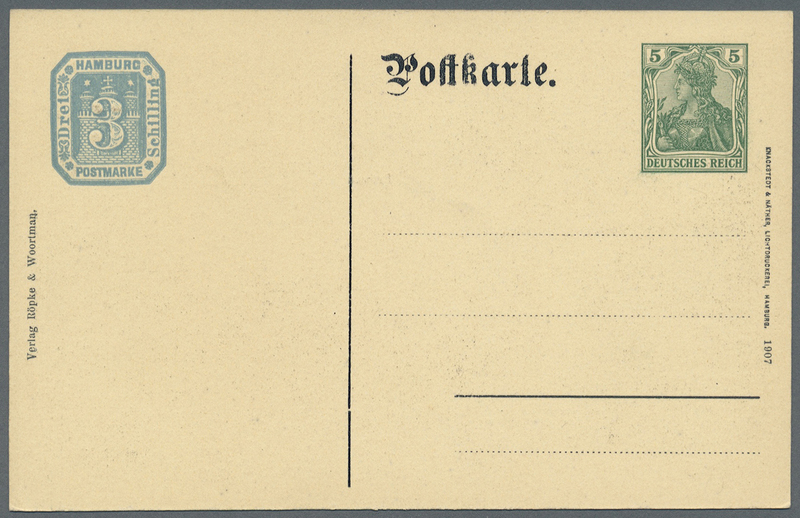 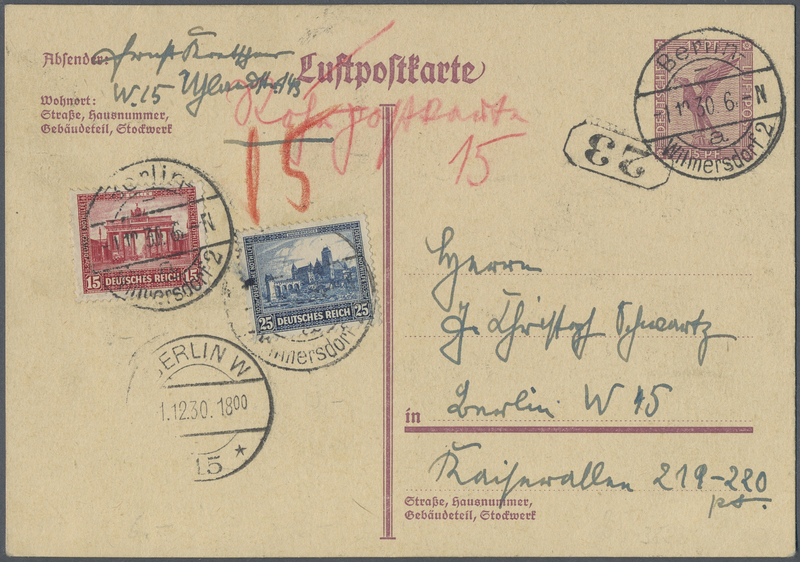 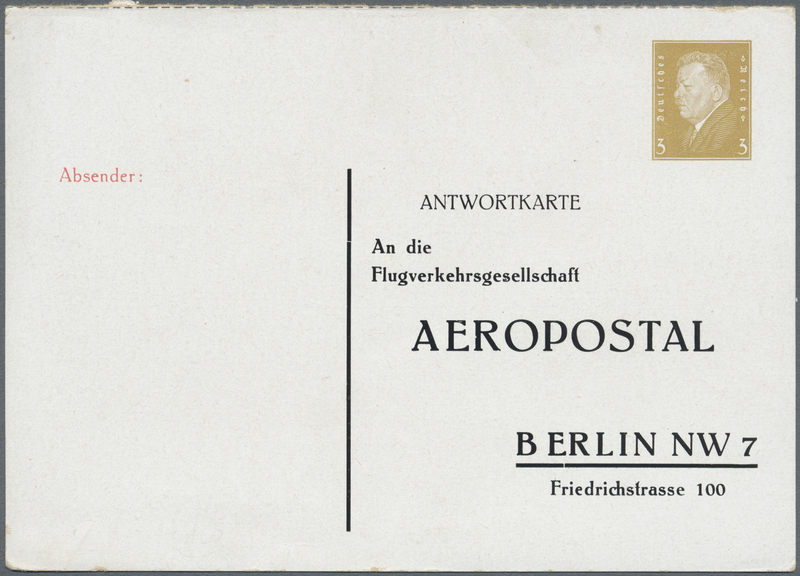 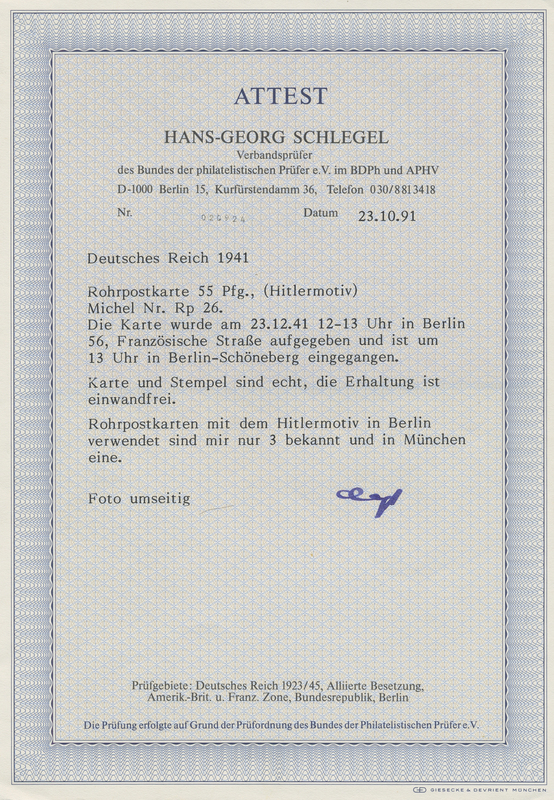 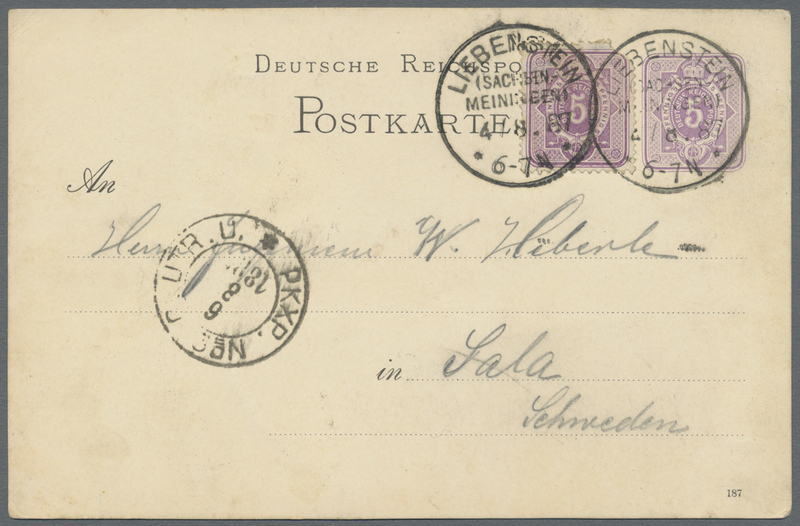 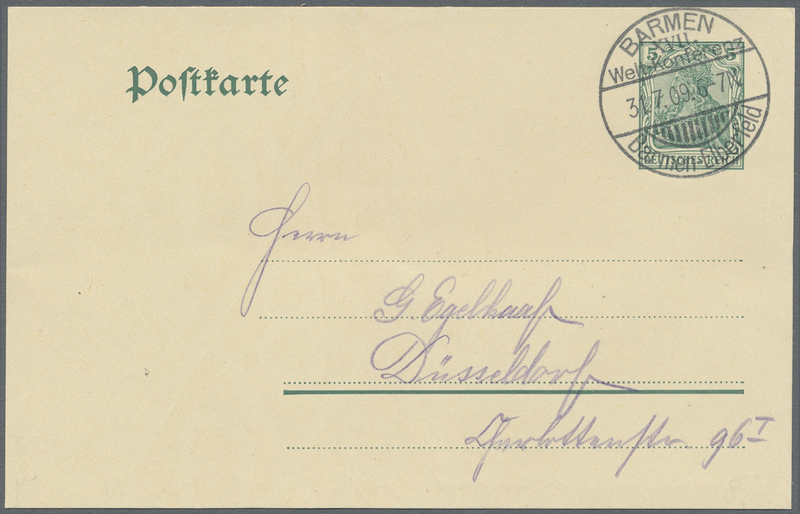 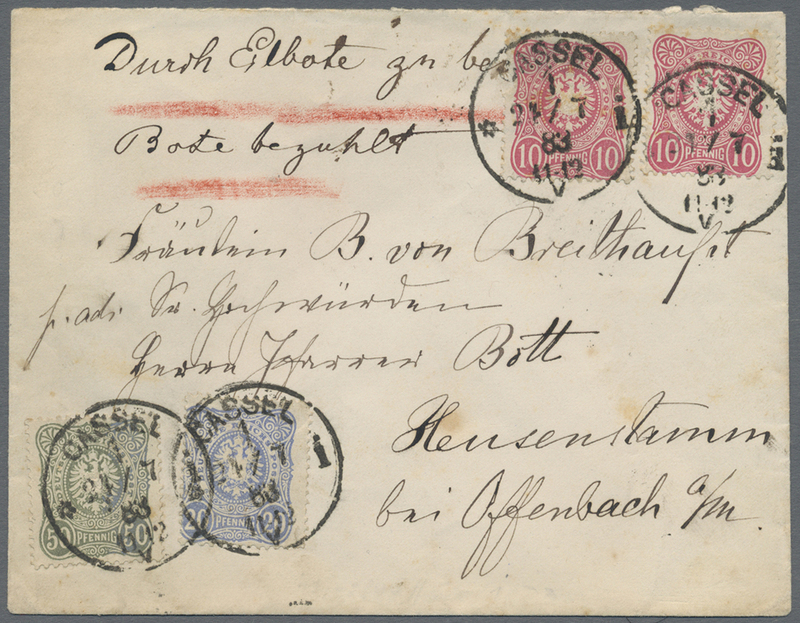 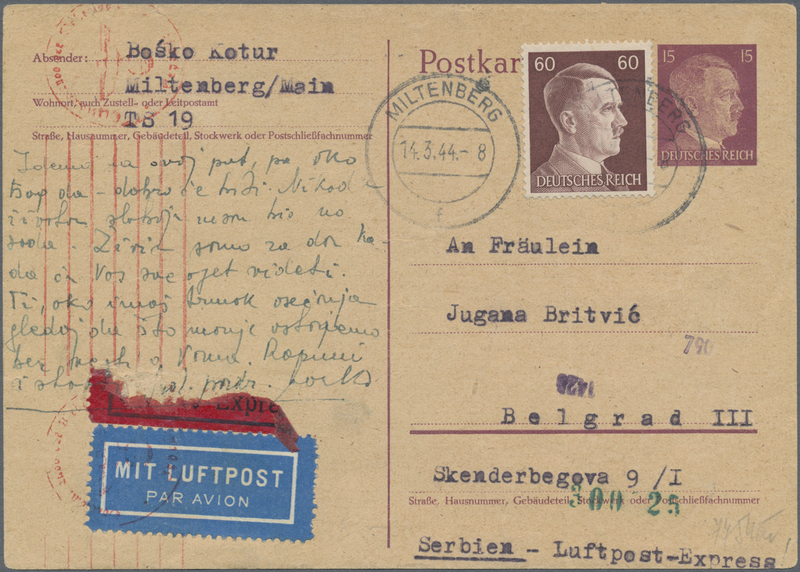 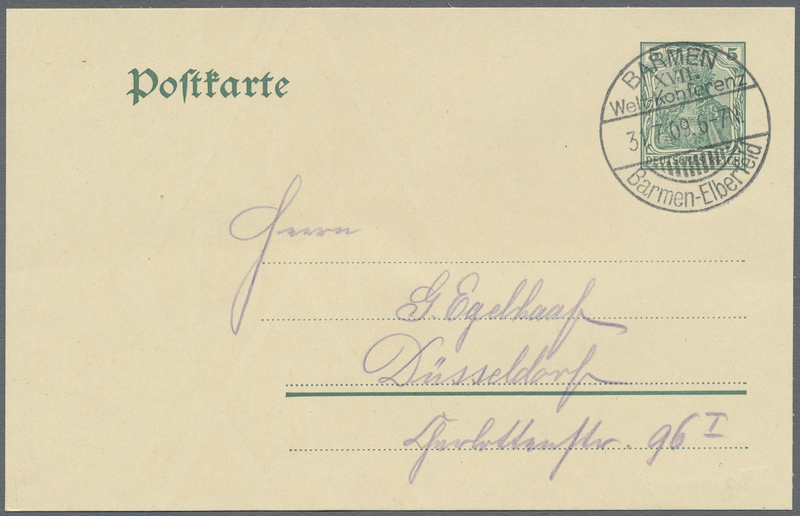 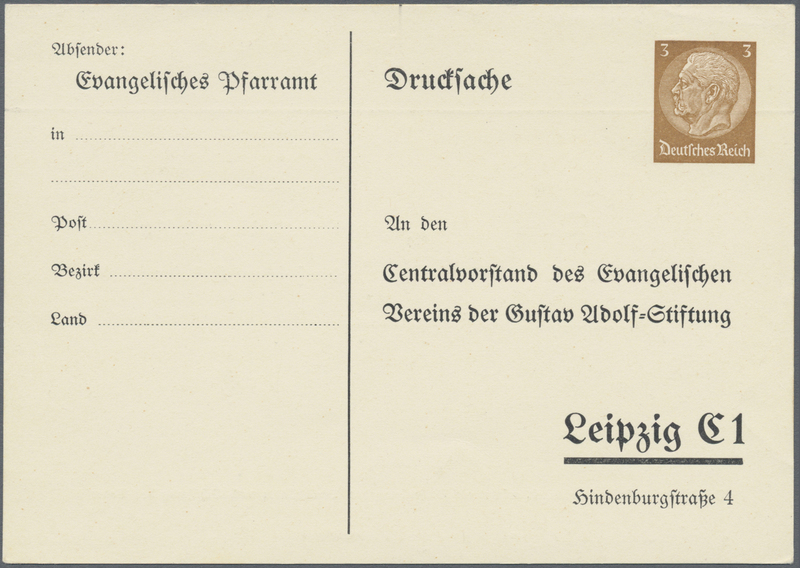 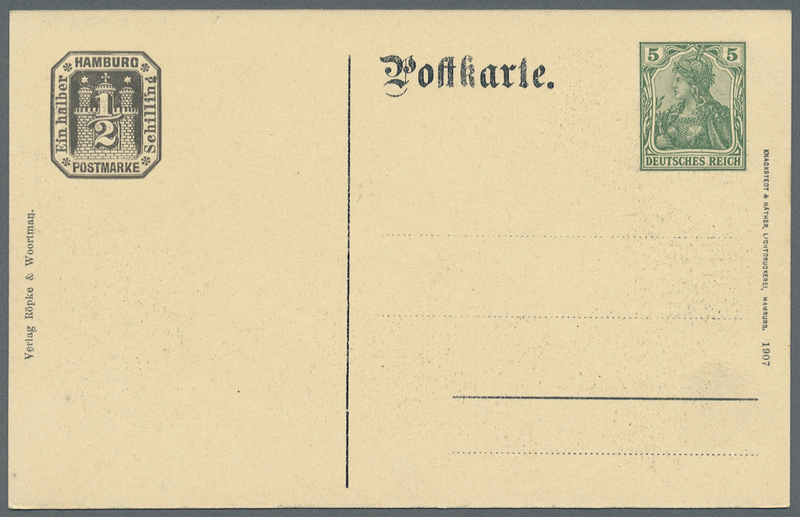 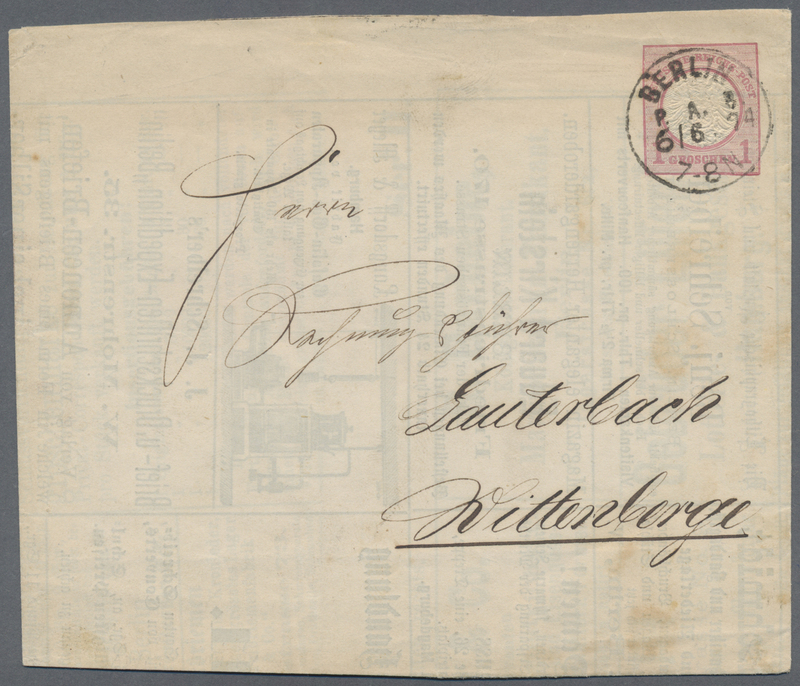 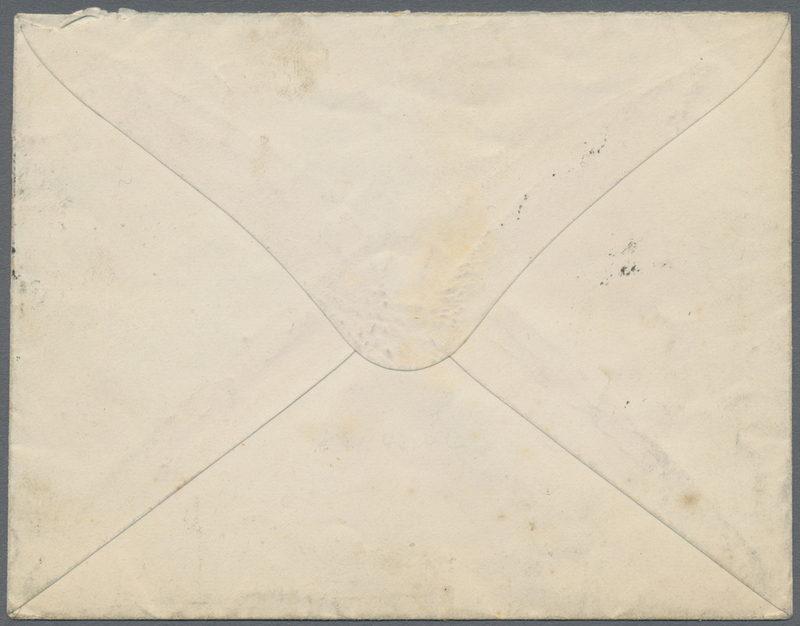 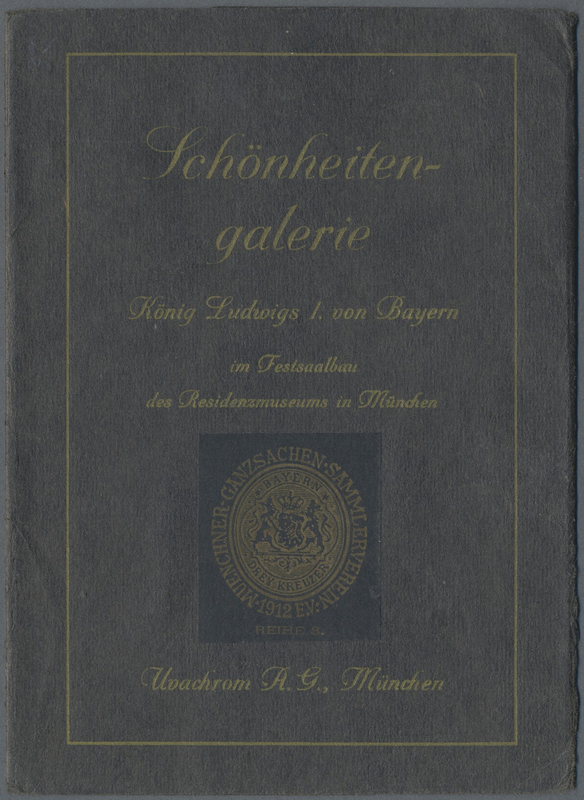 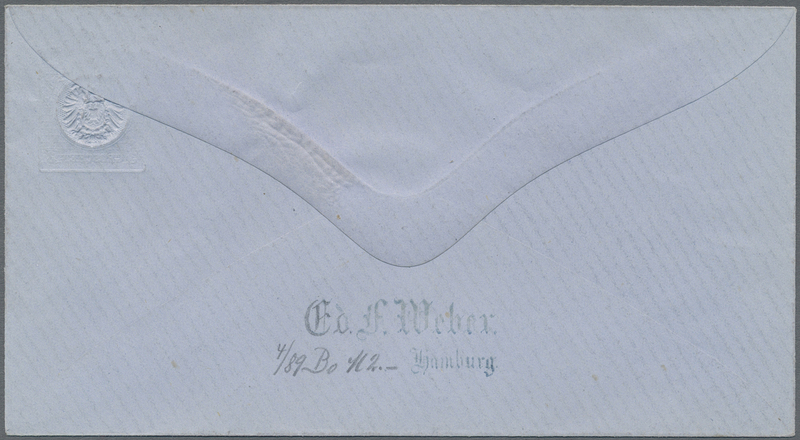 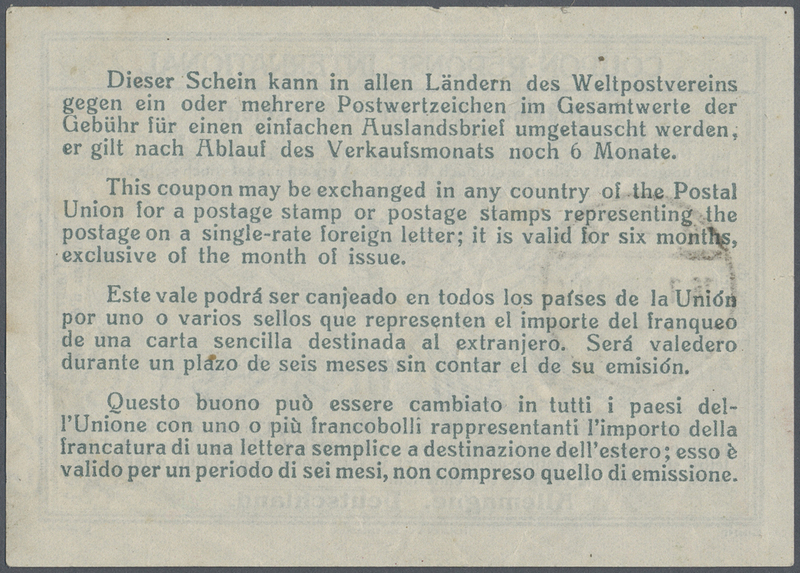 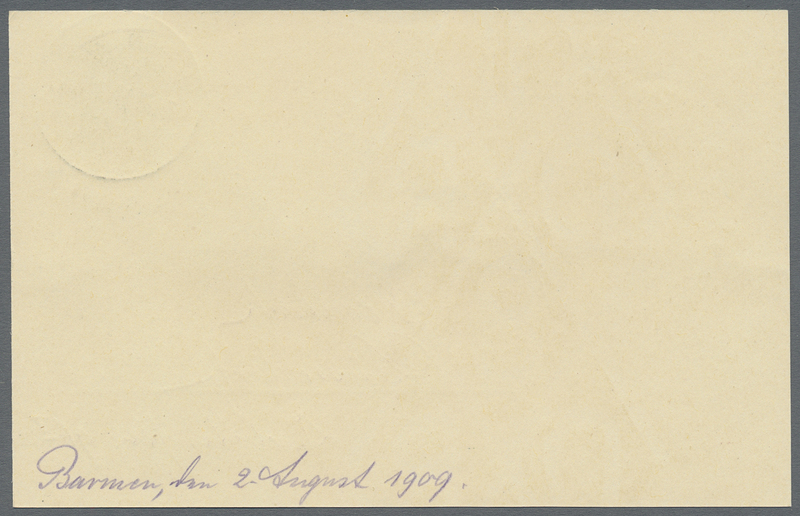 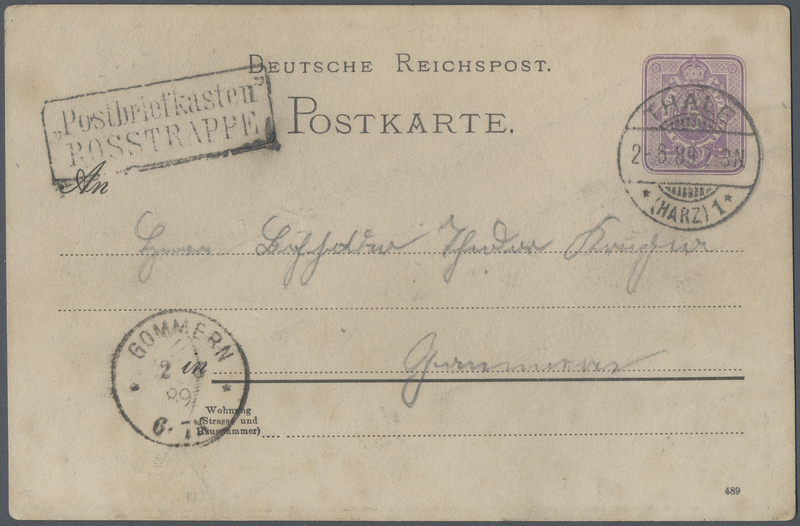 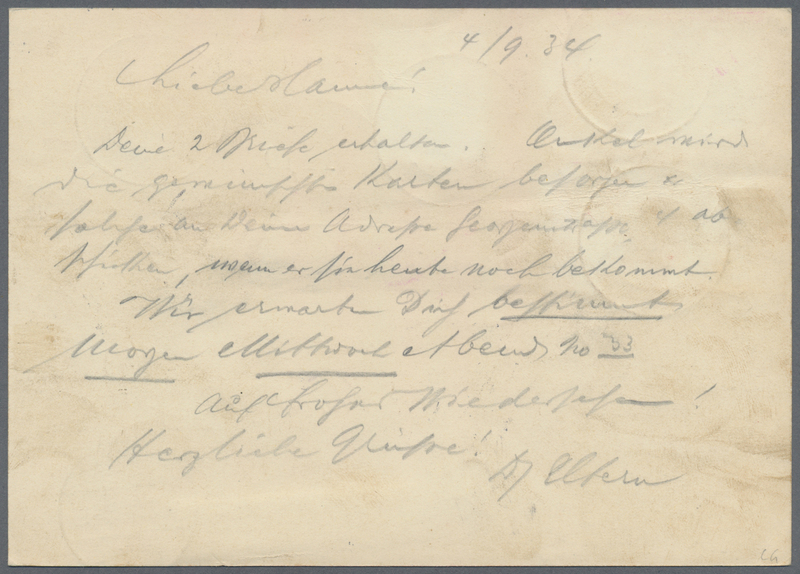 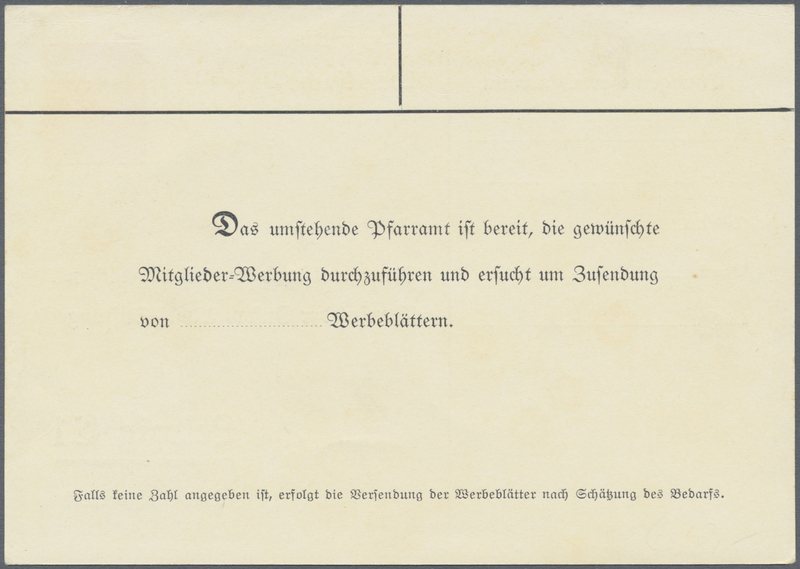 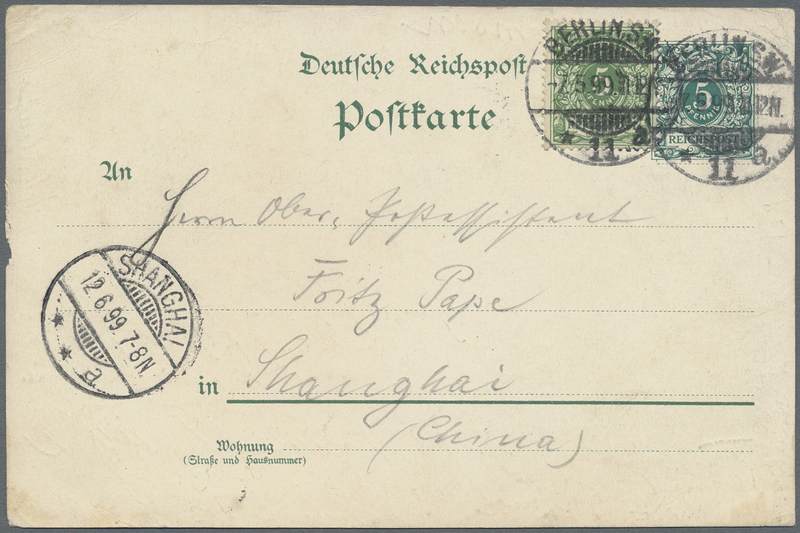 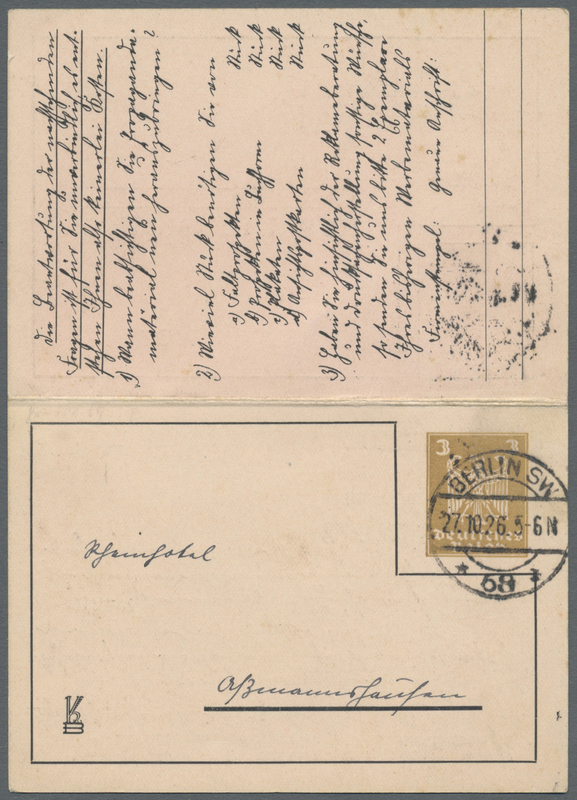 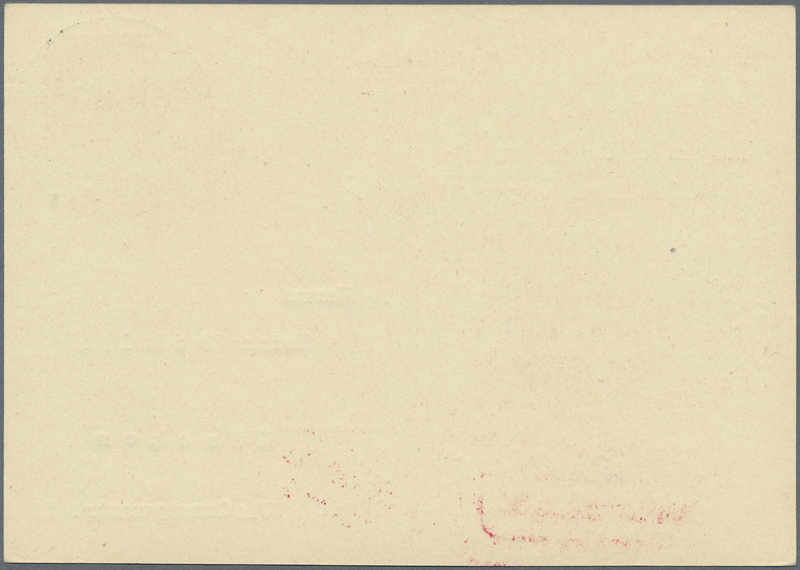 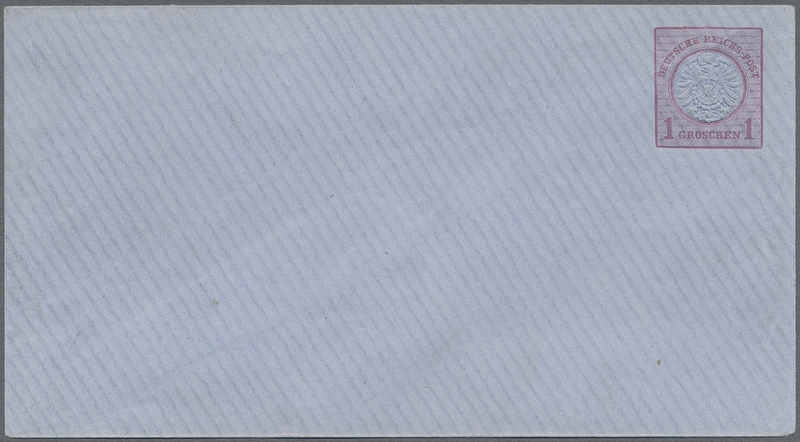 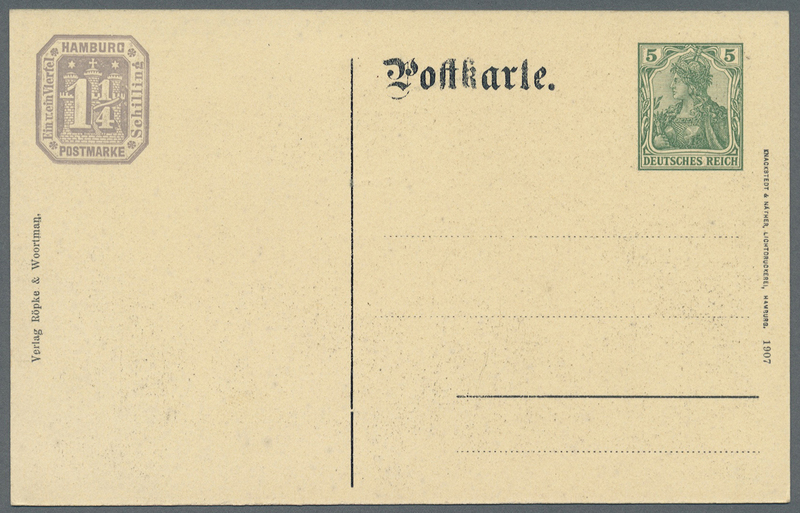 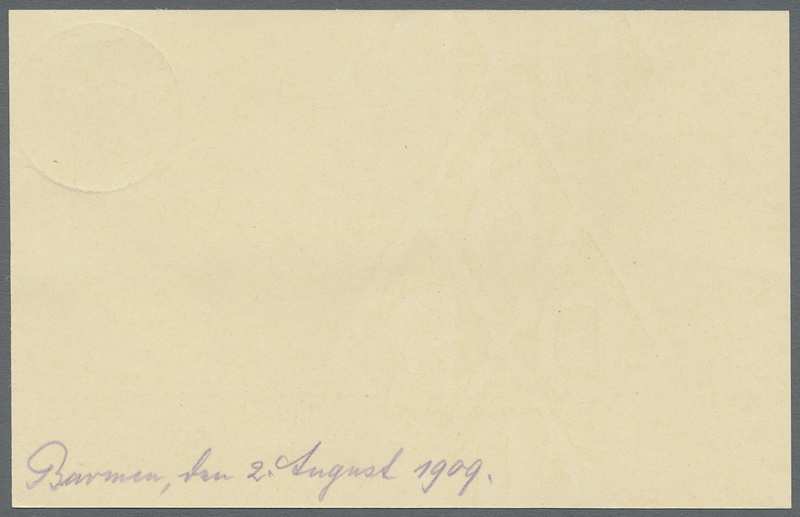 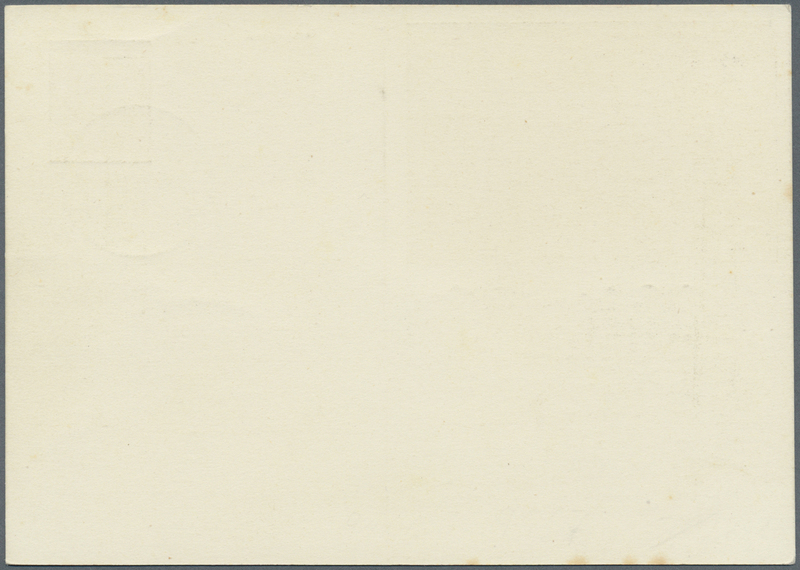 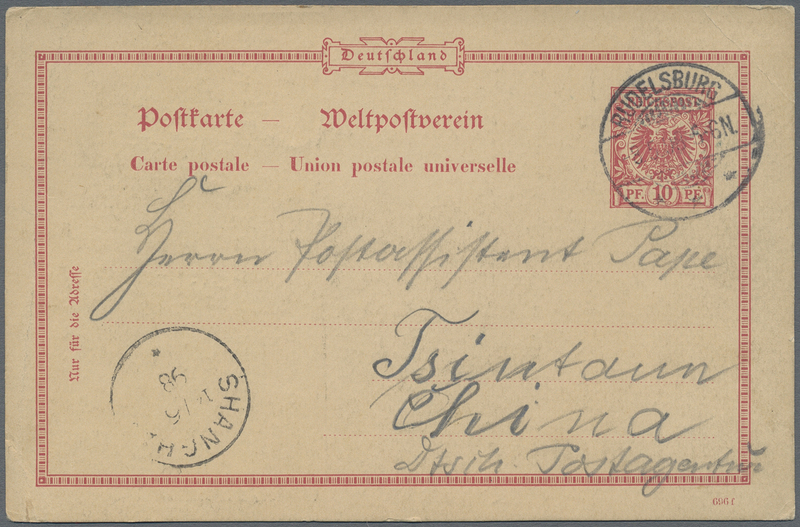 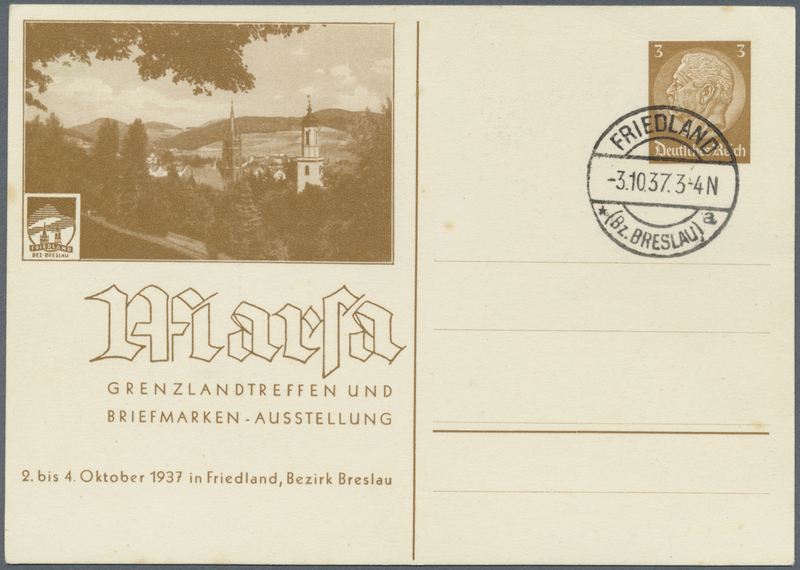 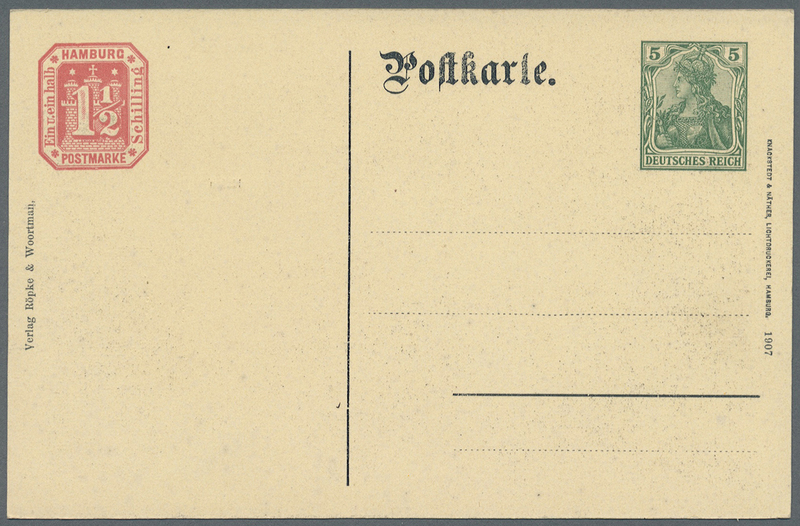 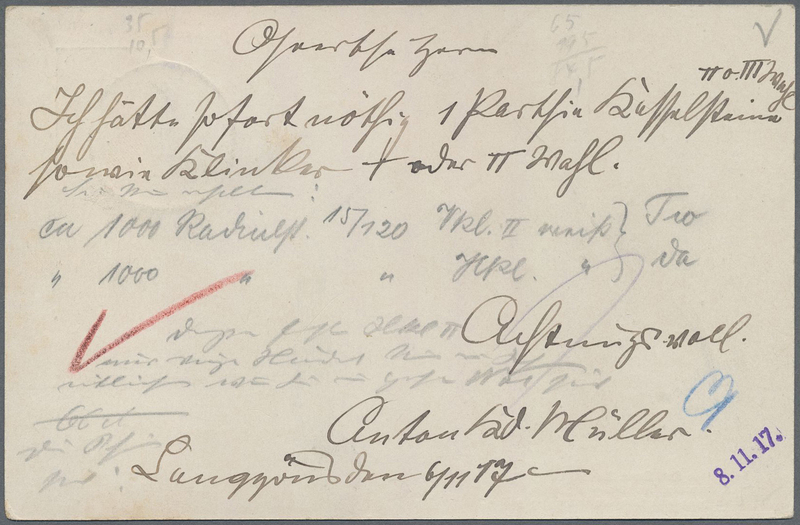 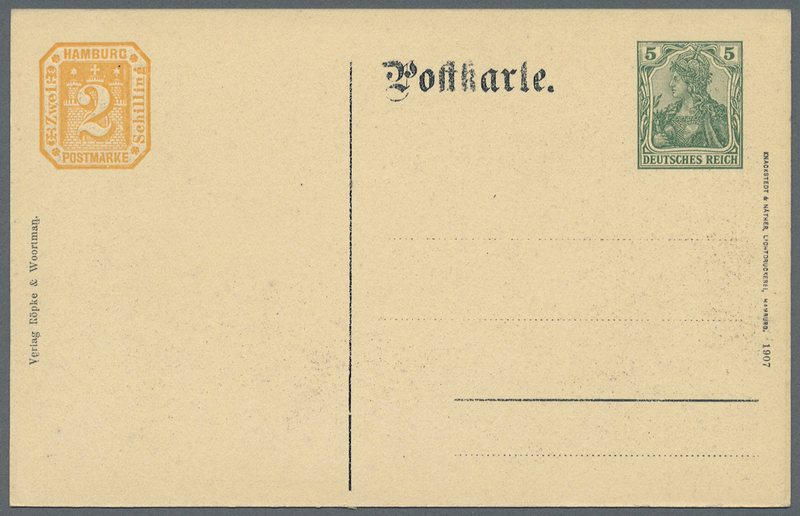 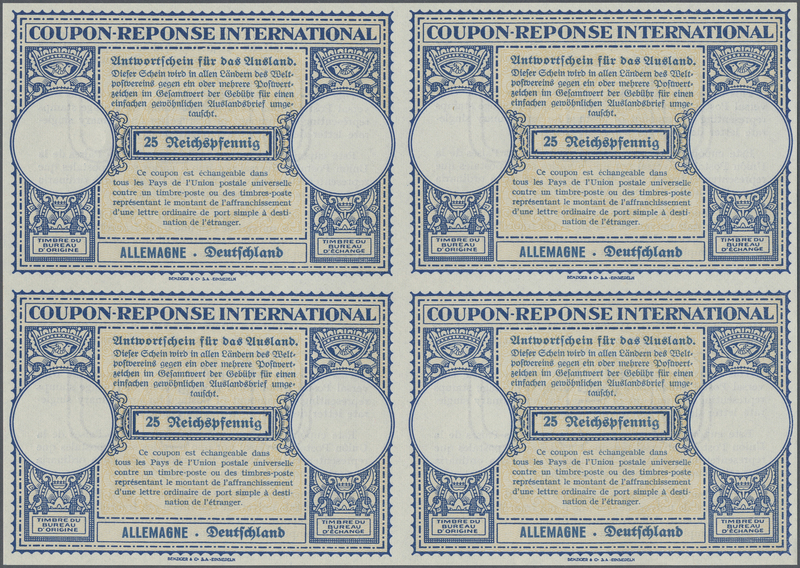 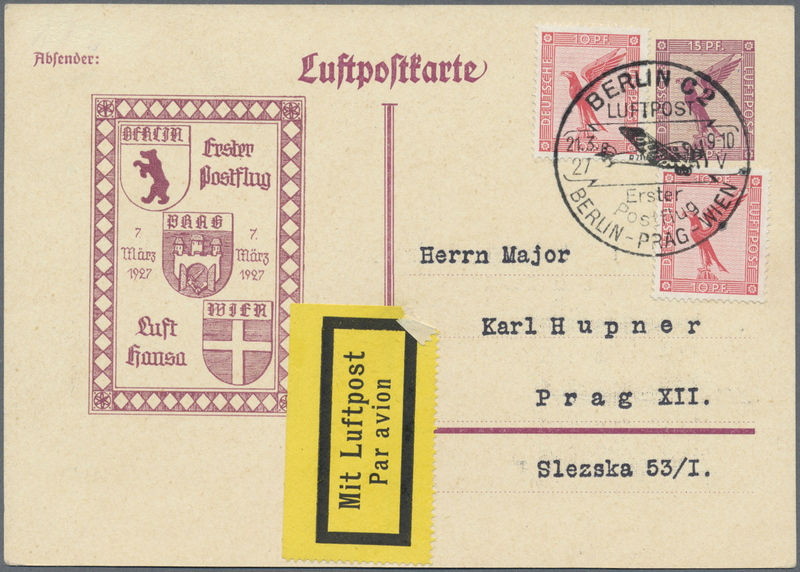 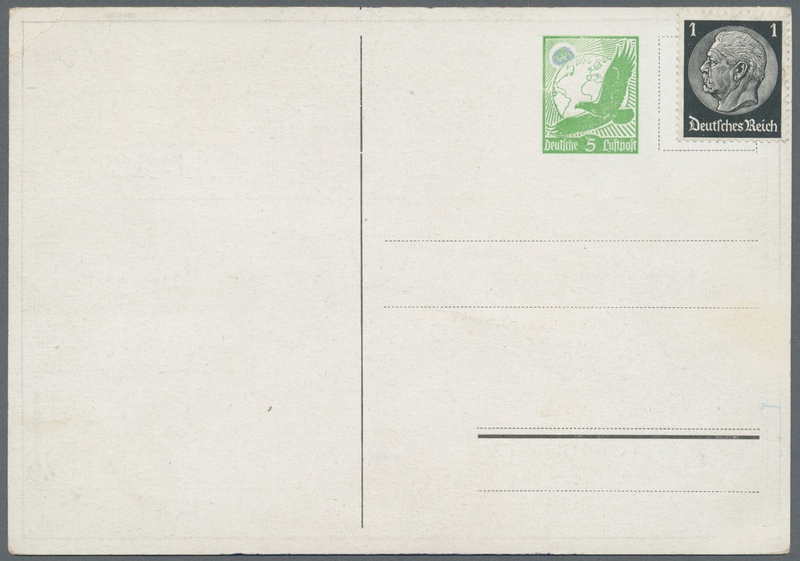 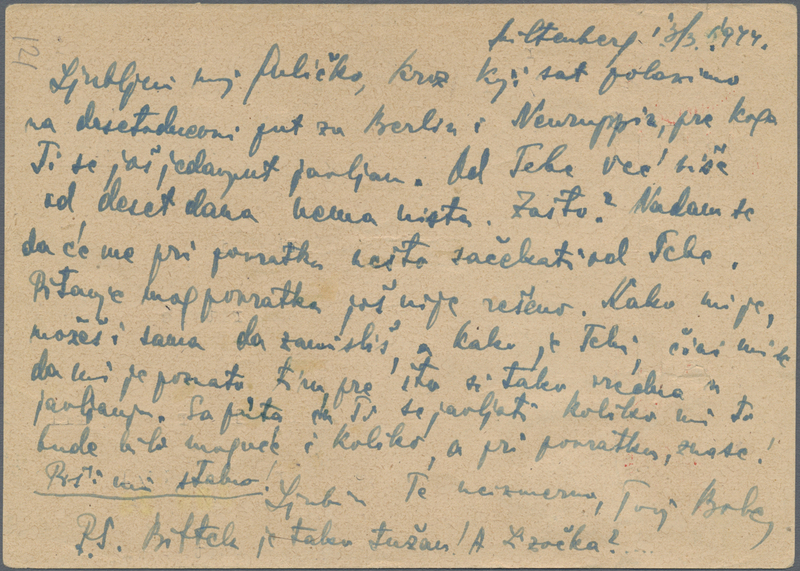 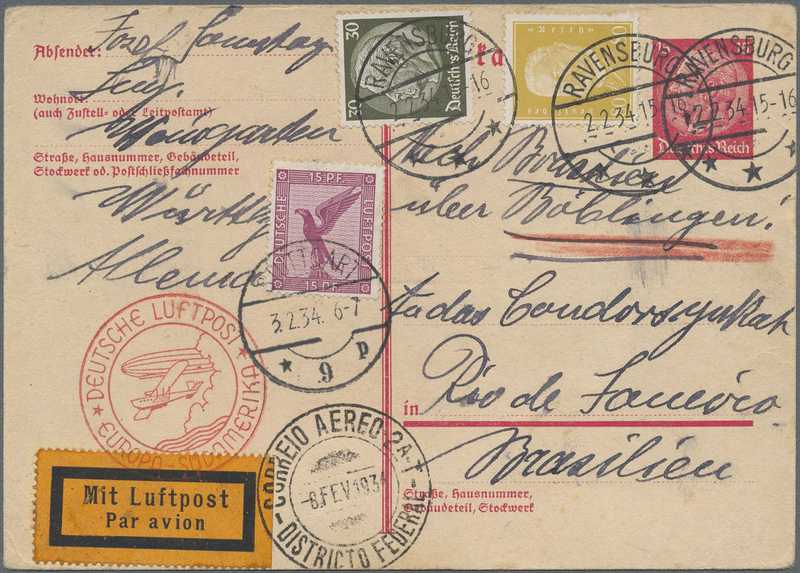 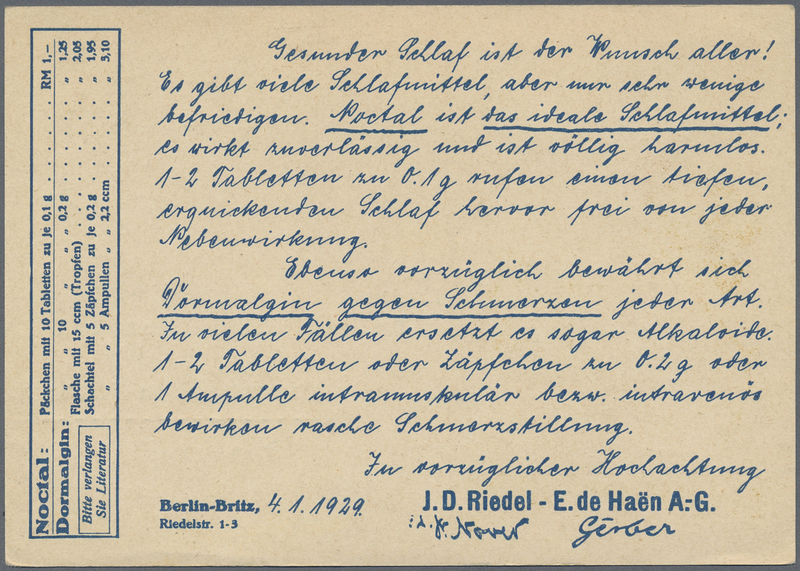 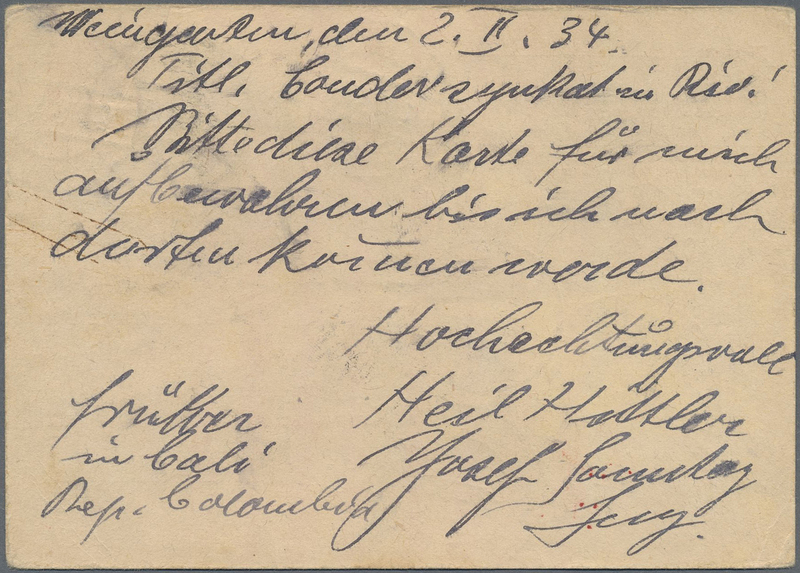 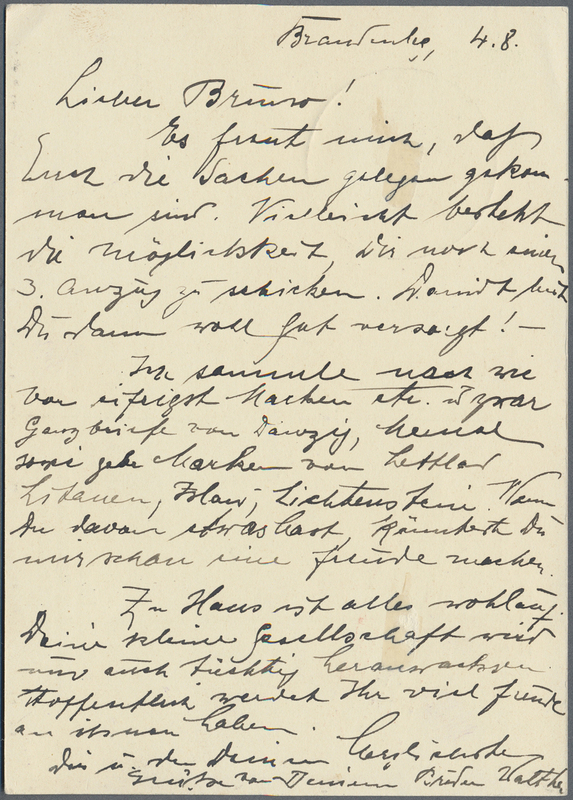 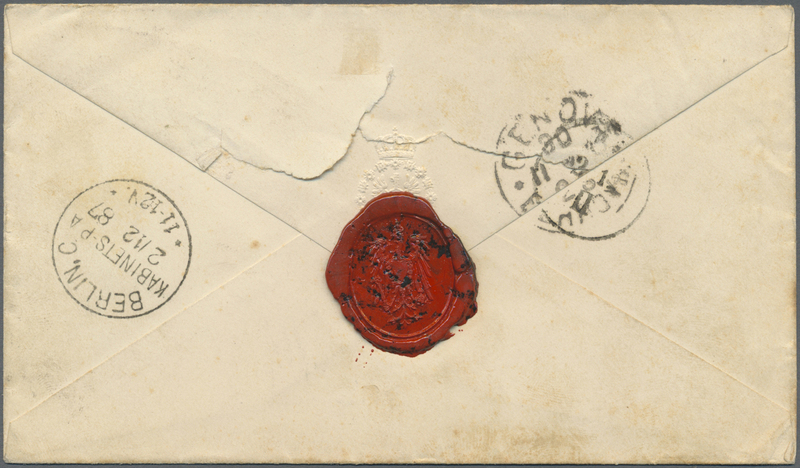 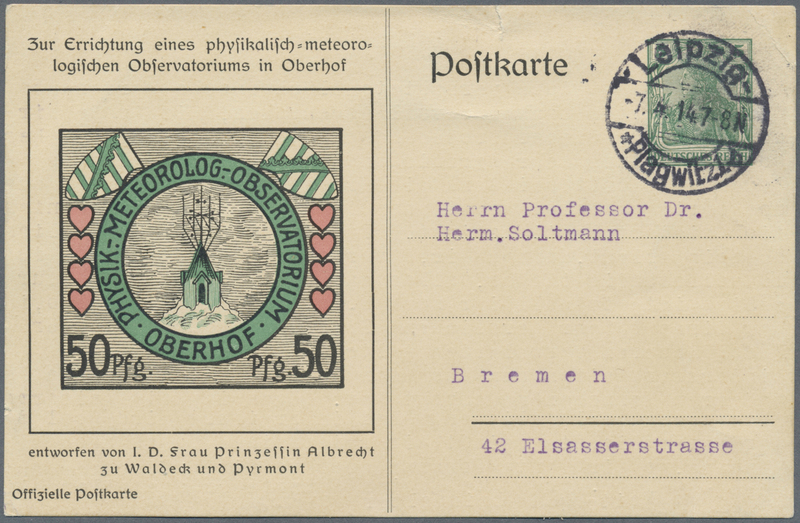 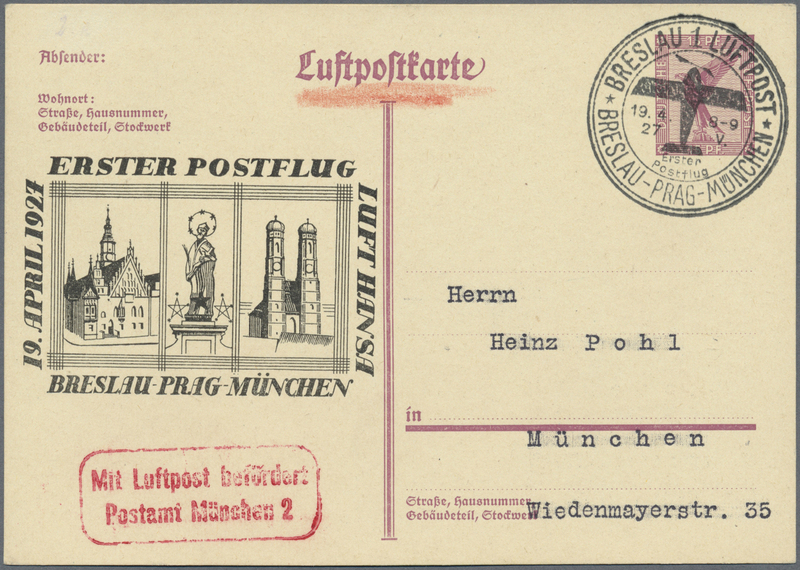 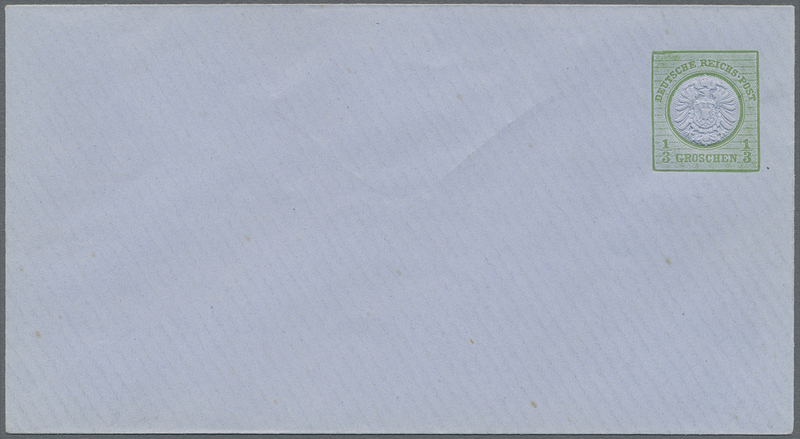 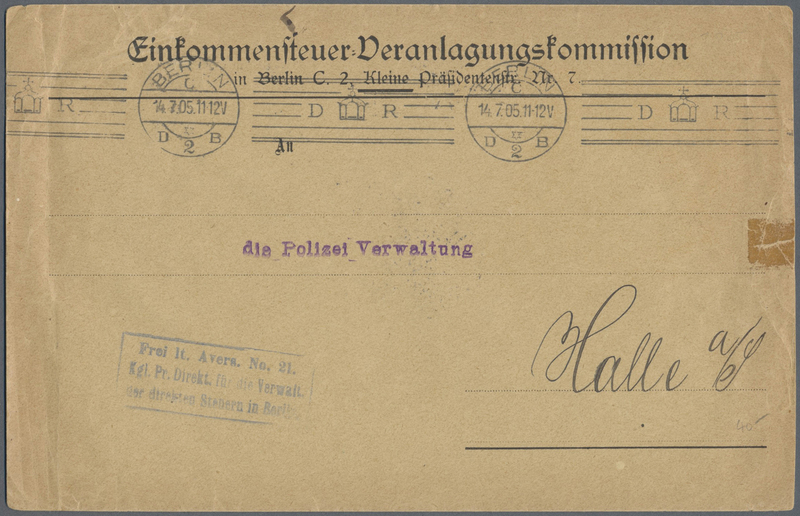 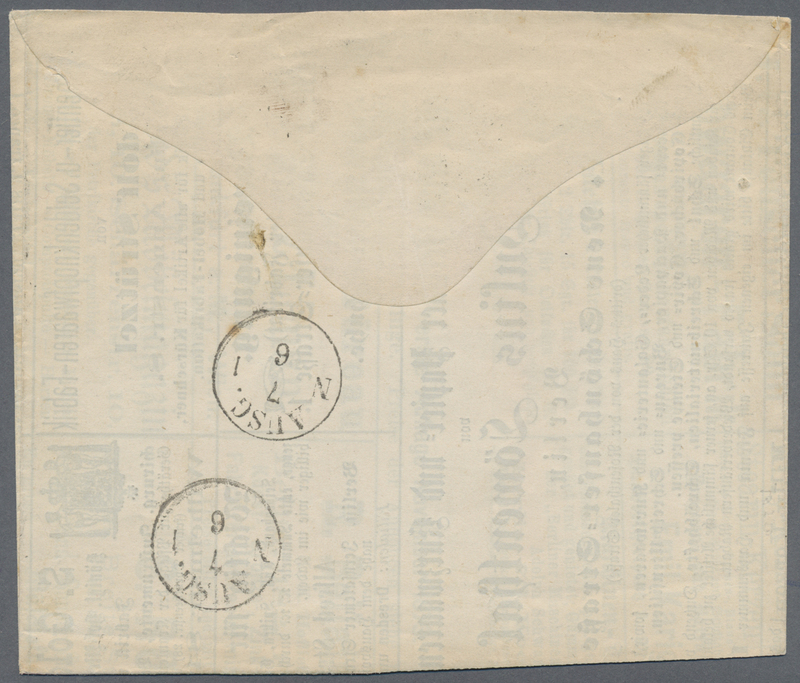 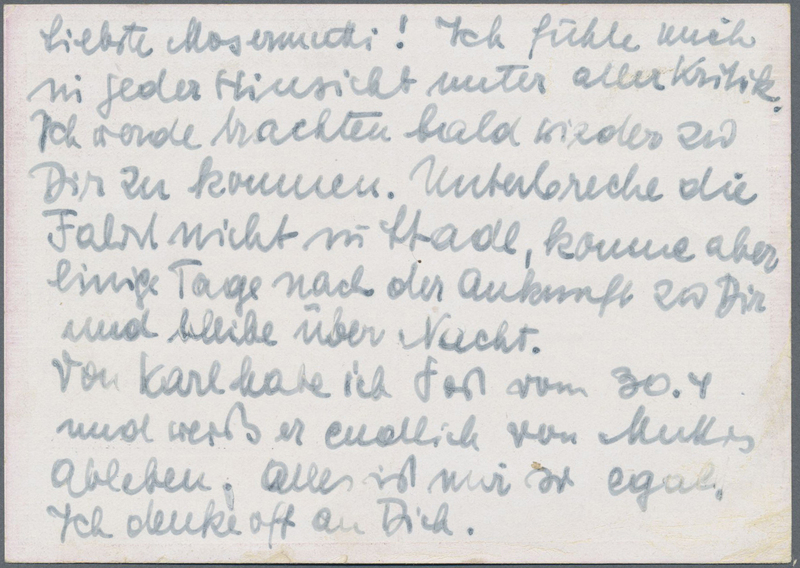 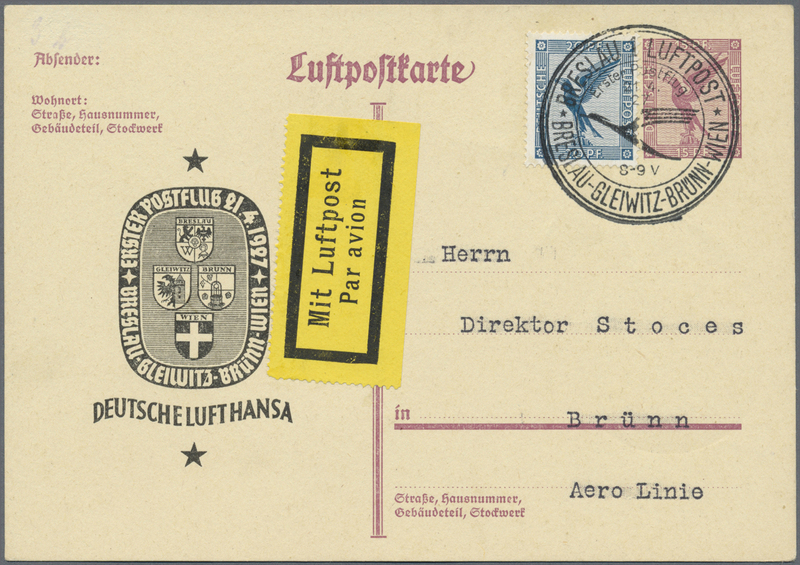 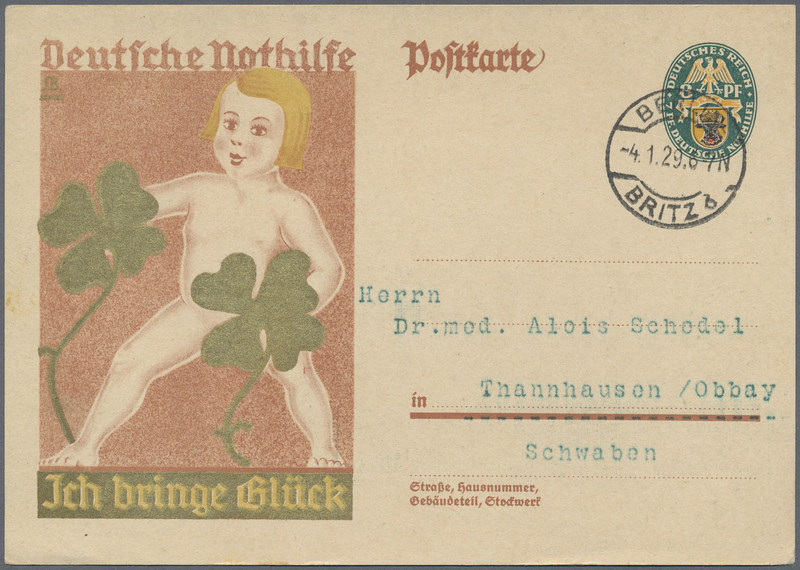 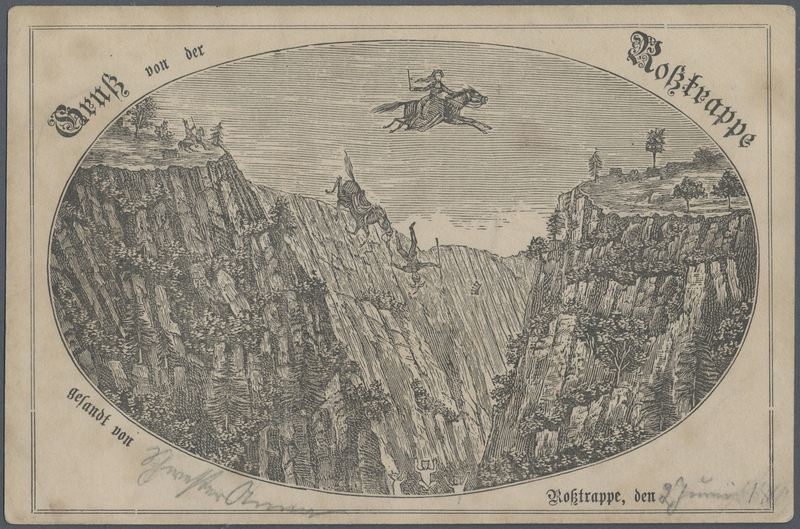 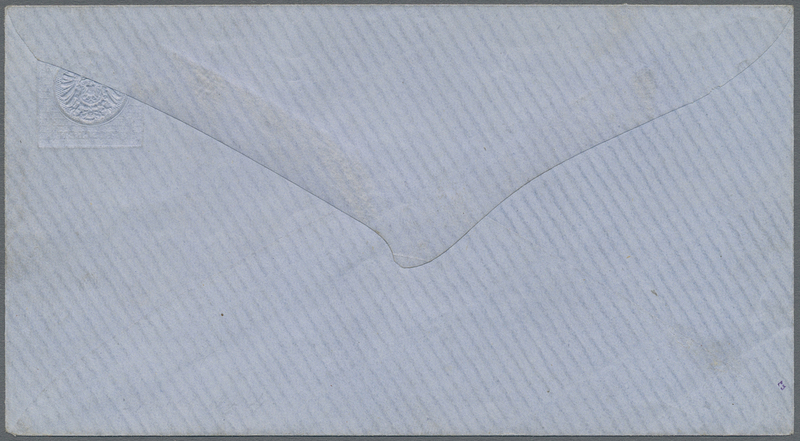 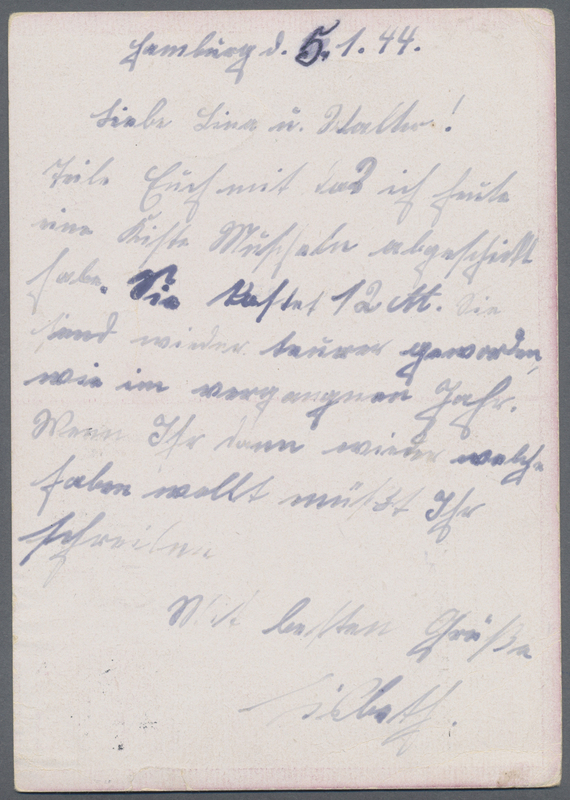 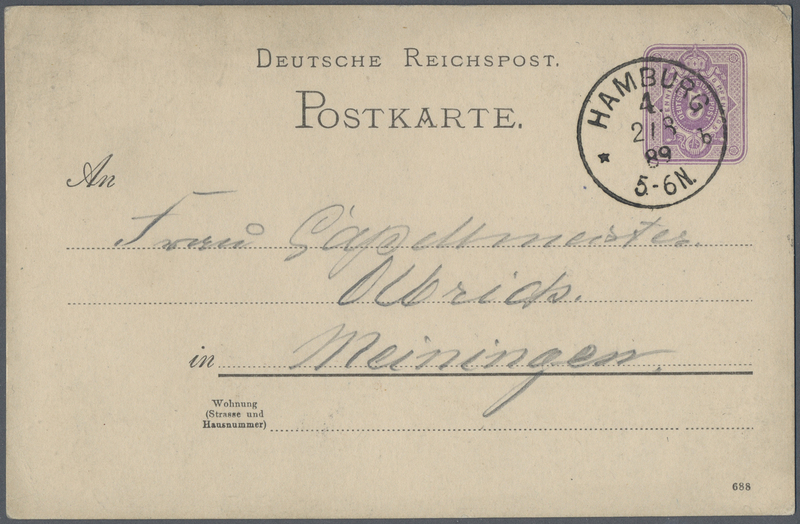 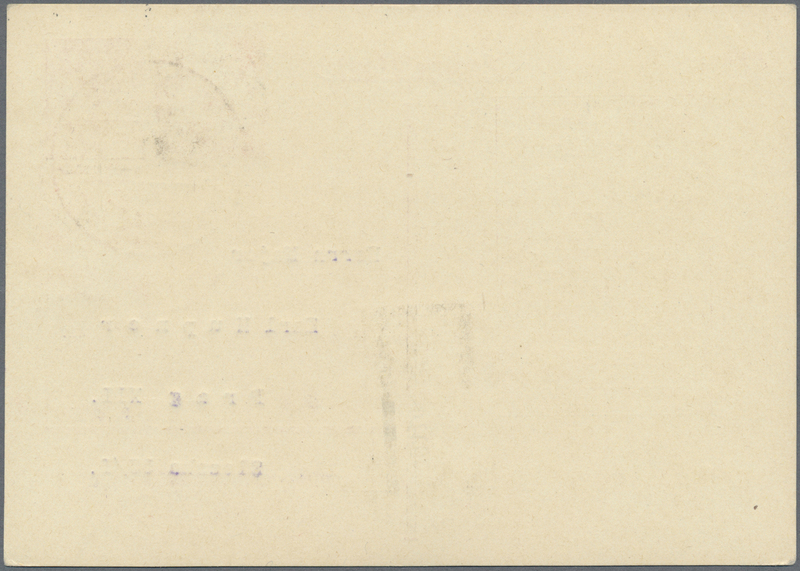 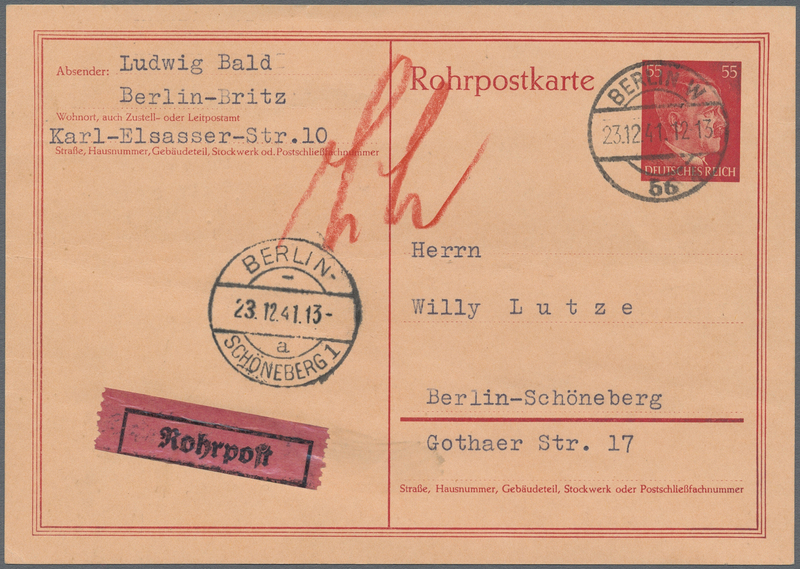 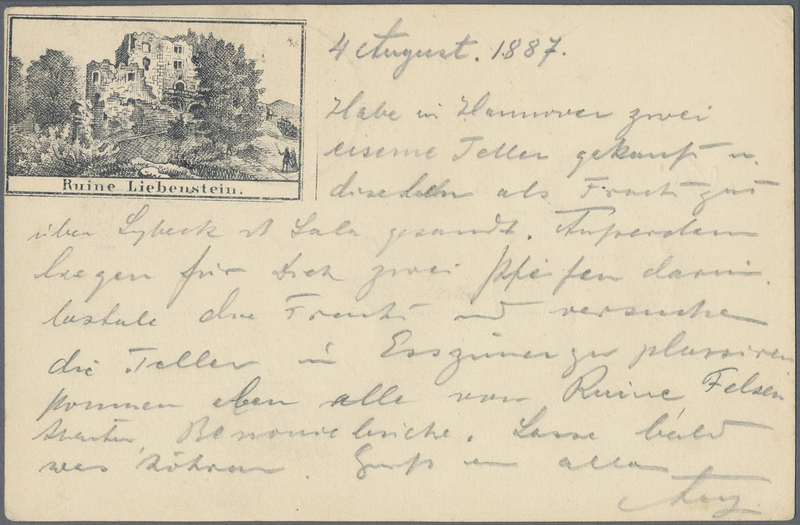 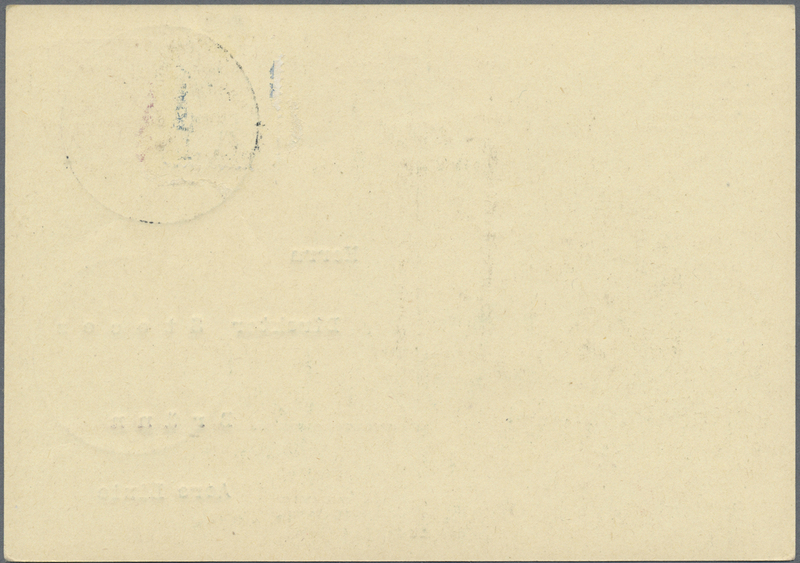 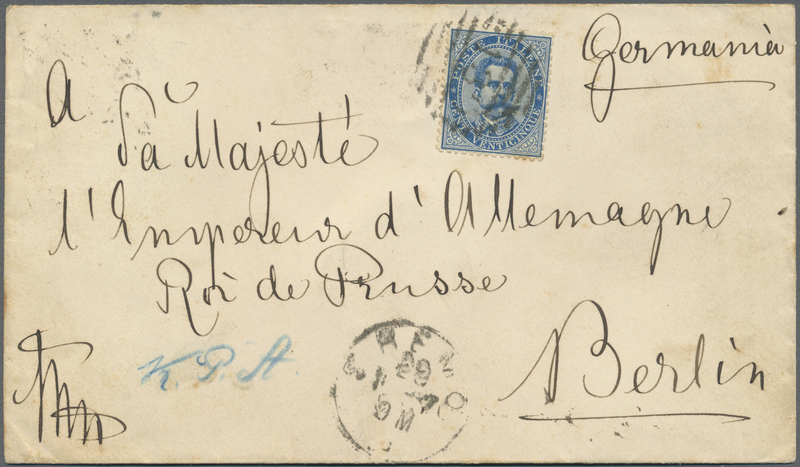 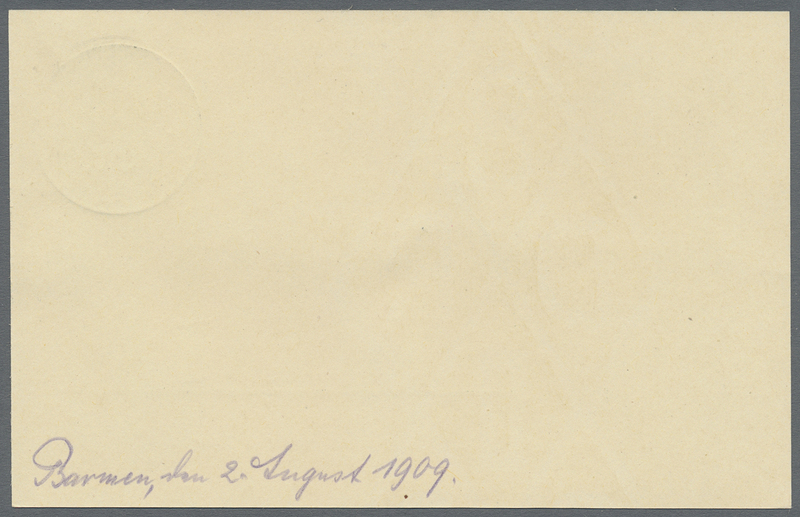 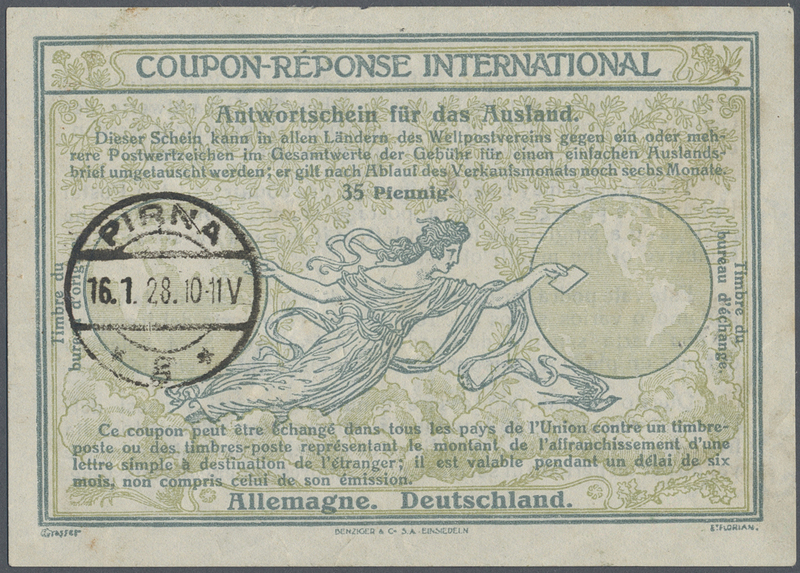 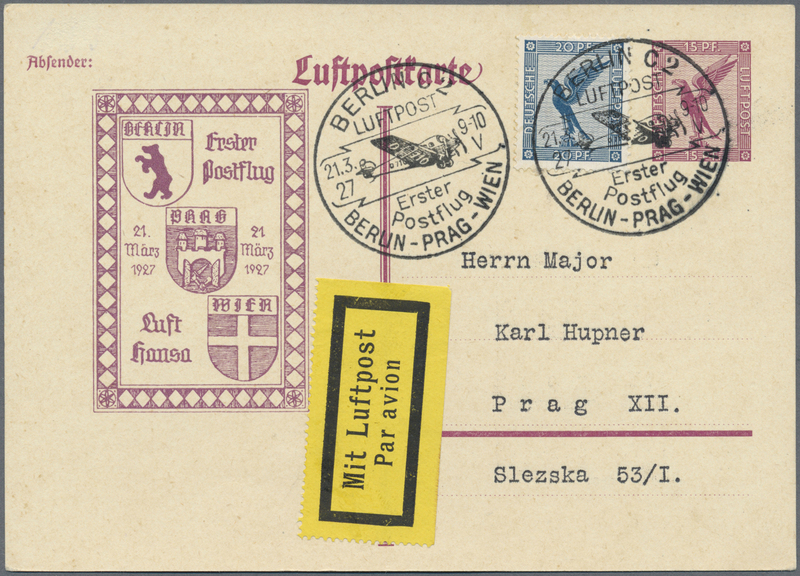 Munich Rohrpost is scarce, and this is an unusual item.